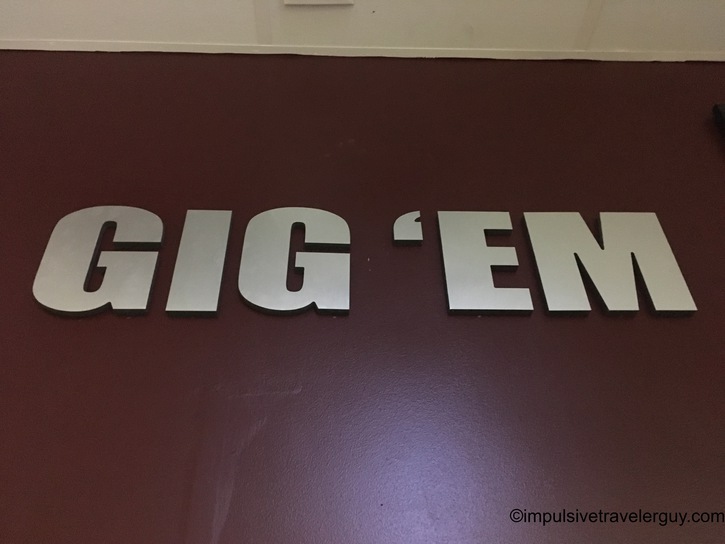 After getting off the bus, we had some time to kill before the game. 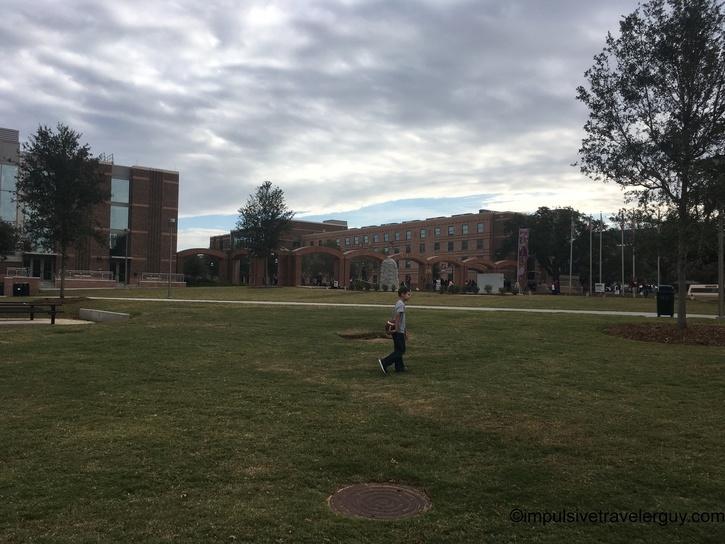 Victoria decided to show me around the campus. 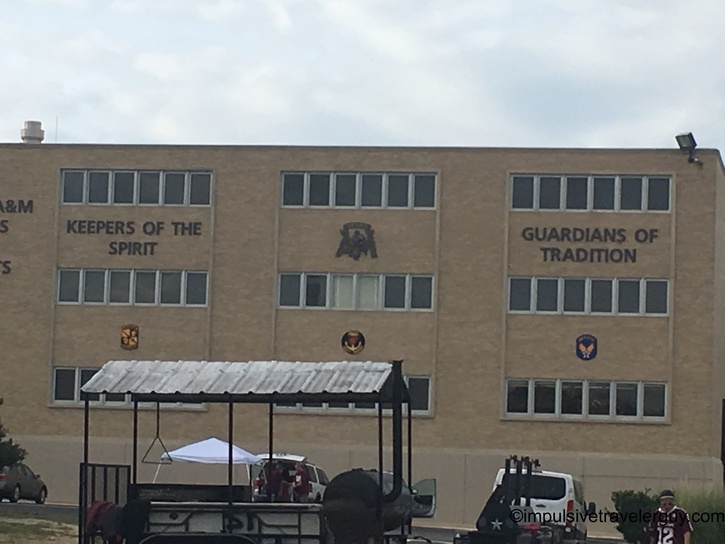 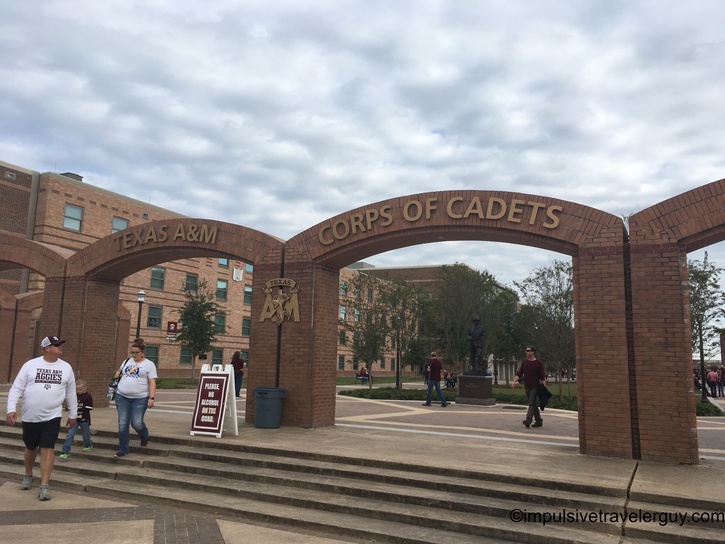 Our first stop was “The Quad.” This is the area where the Corps of Cadets live. 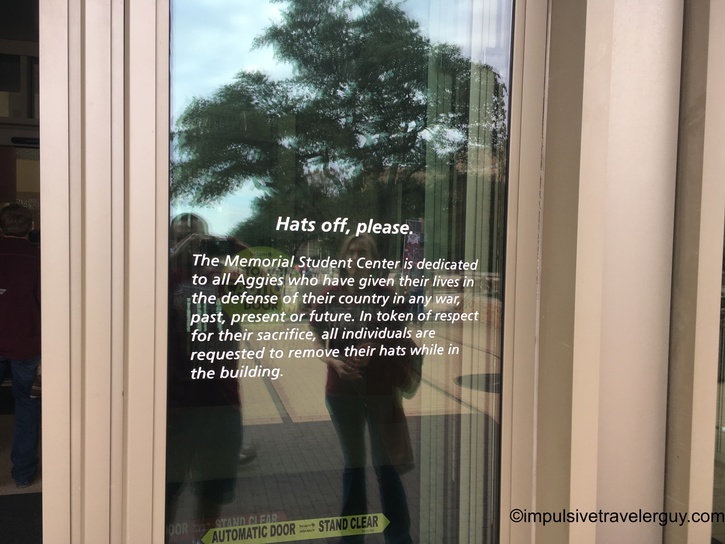 Out front there is a memorial for all Aggies that were lost at war. 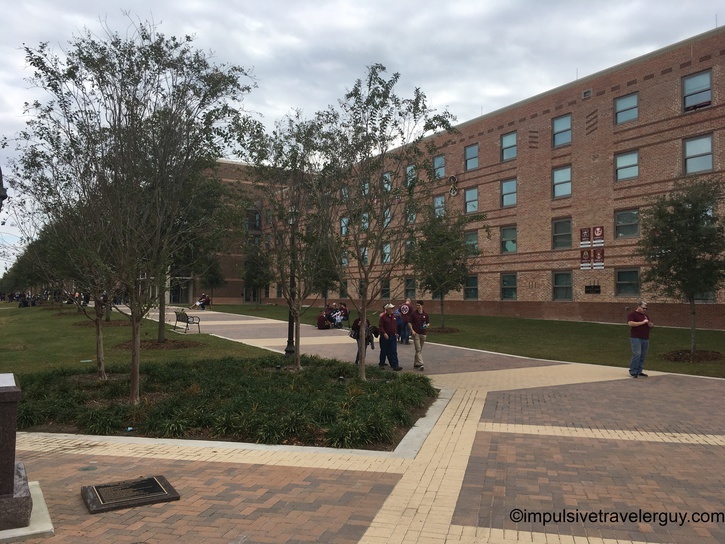 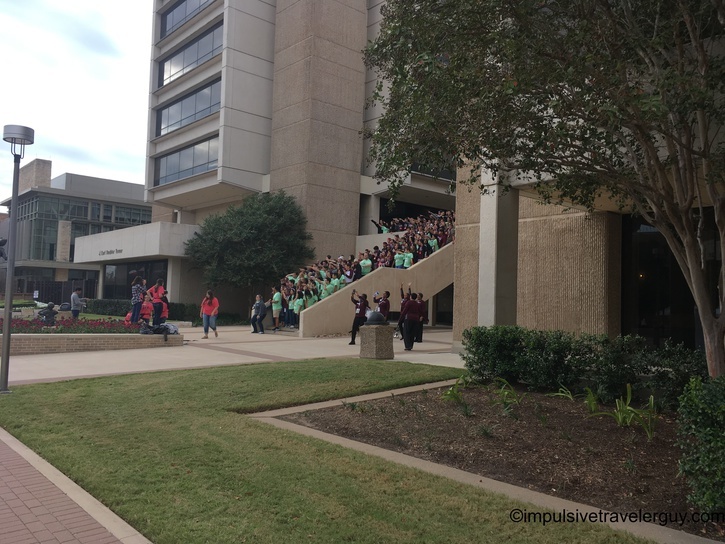 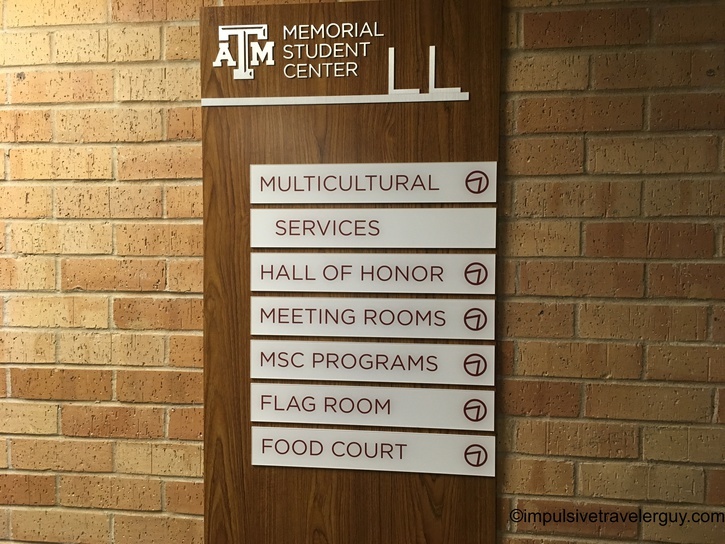 Next, we walked by some of the campus buildings on our way to the Memorial Student Center. 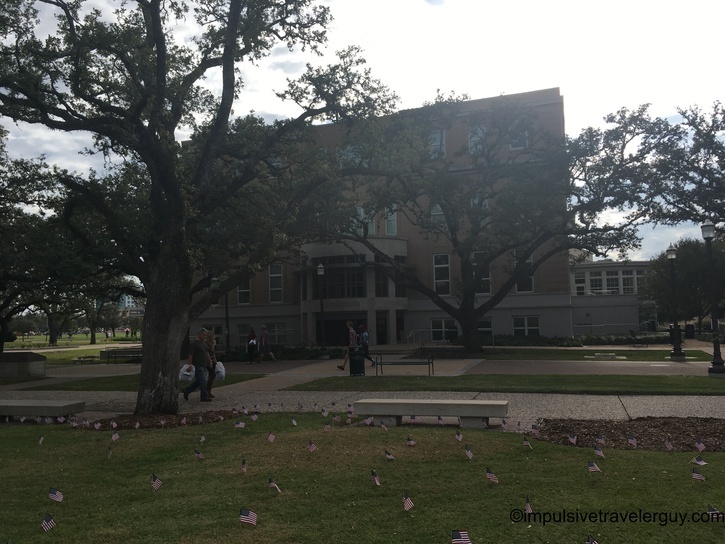 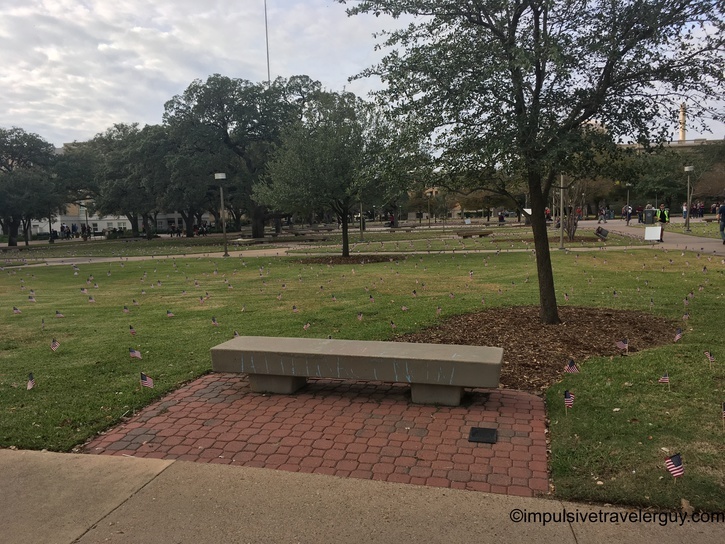 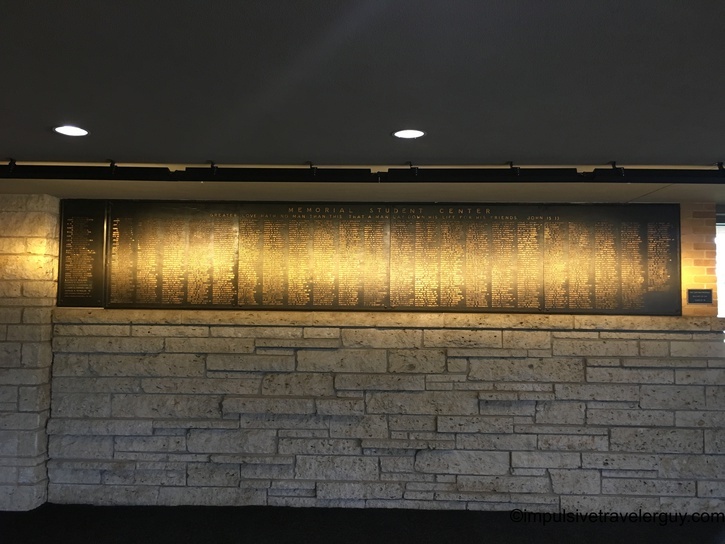 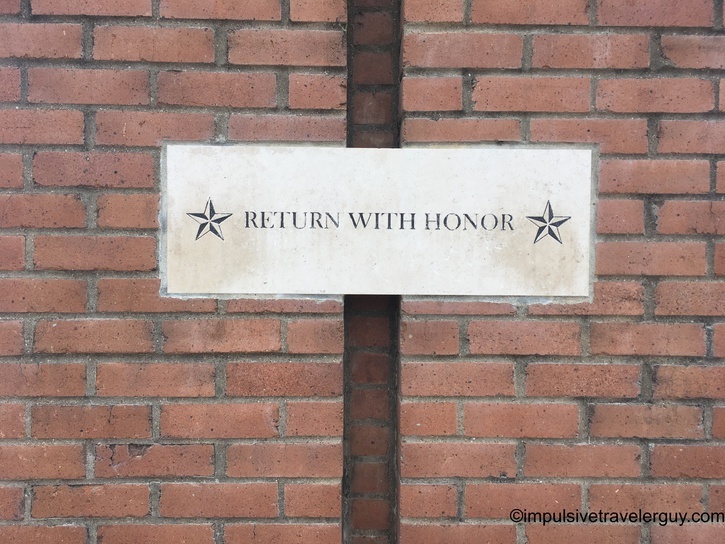 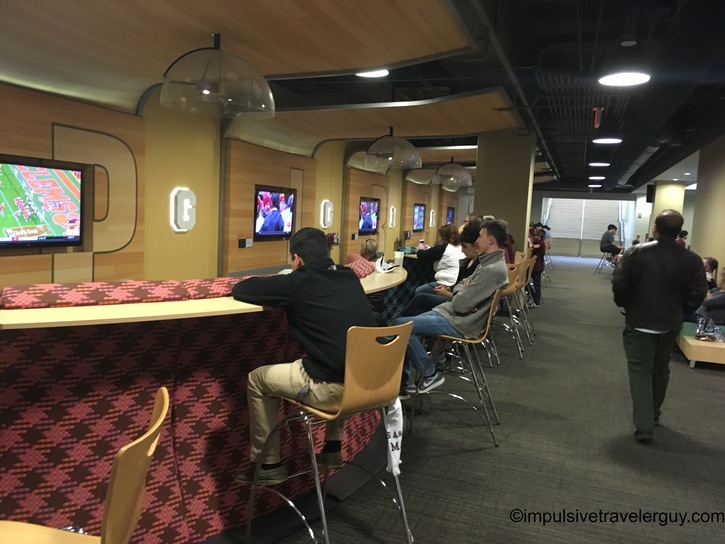 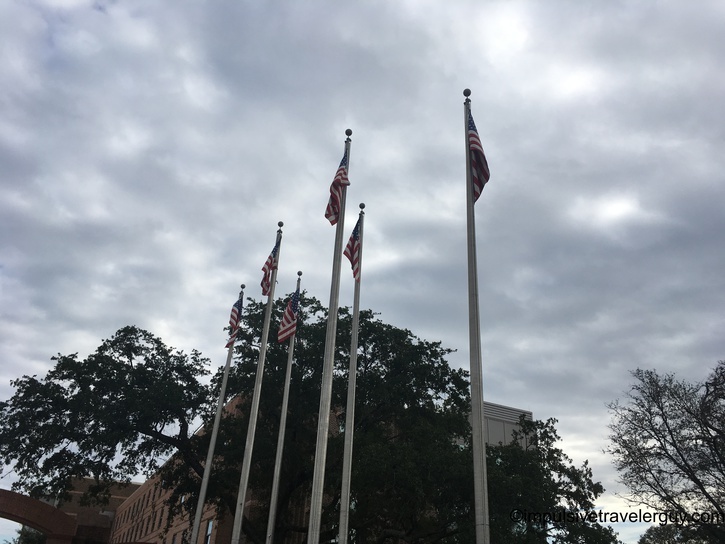 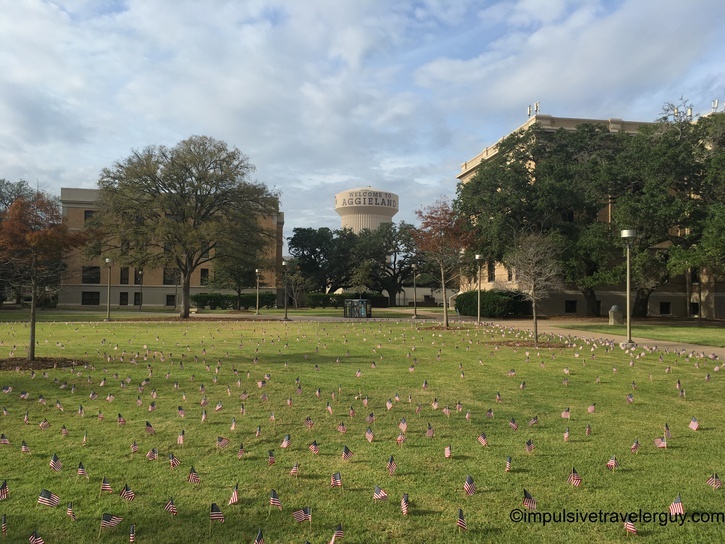 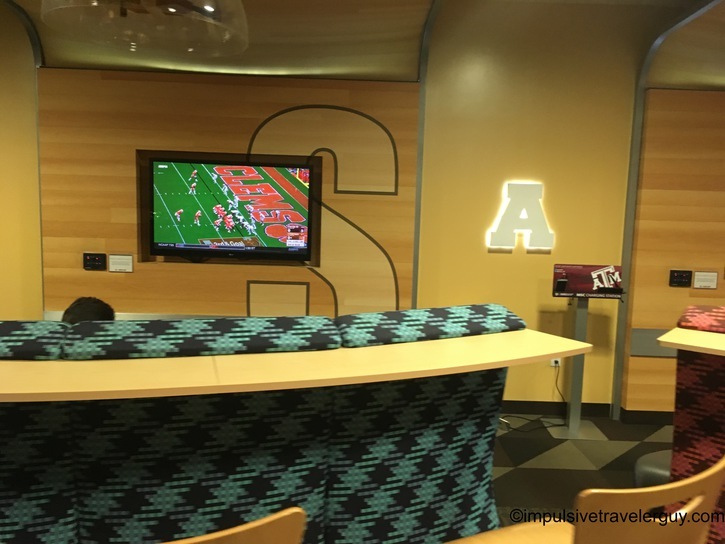 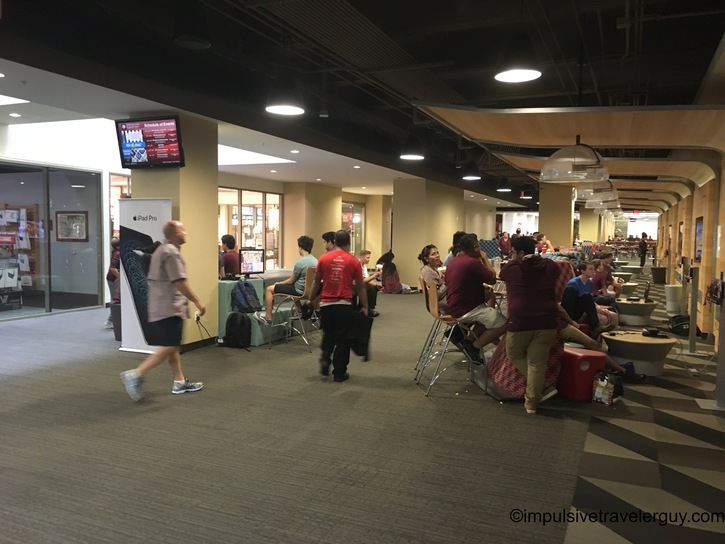 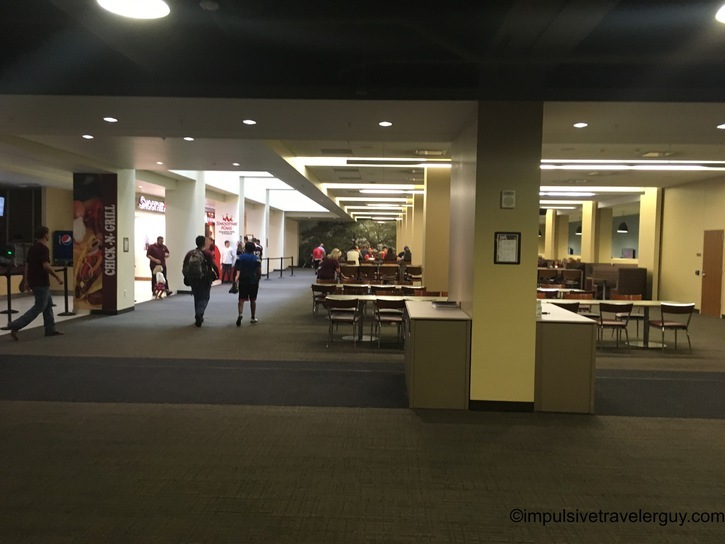 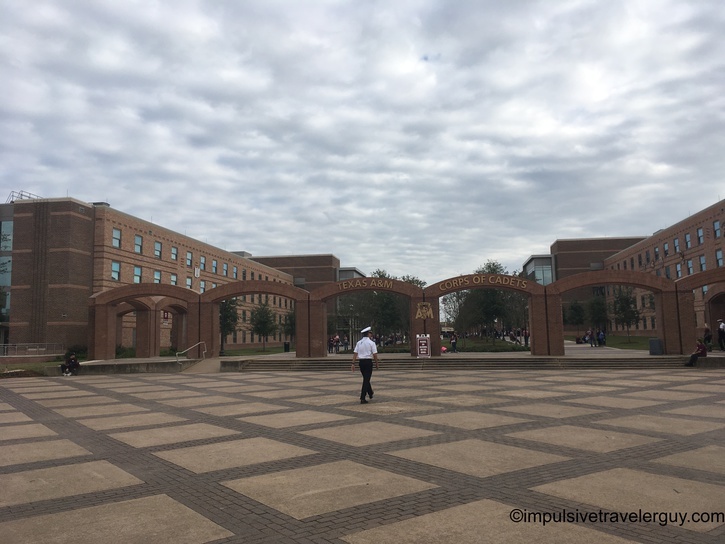 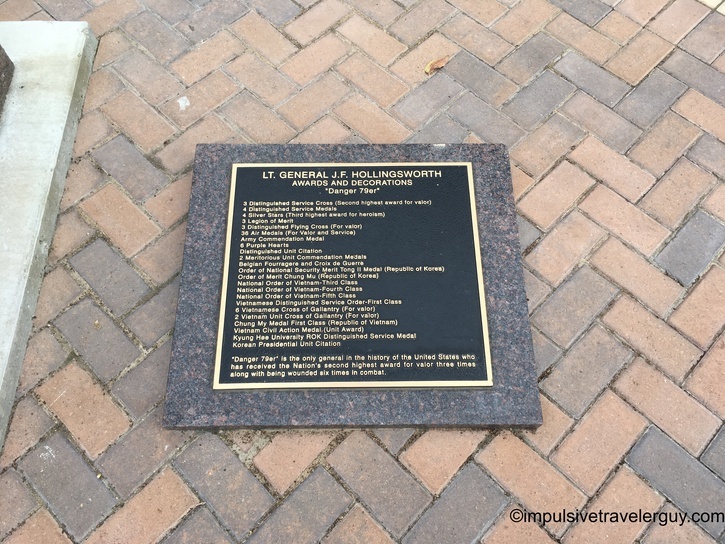 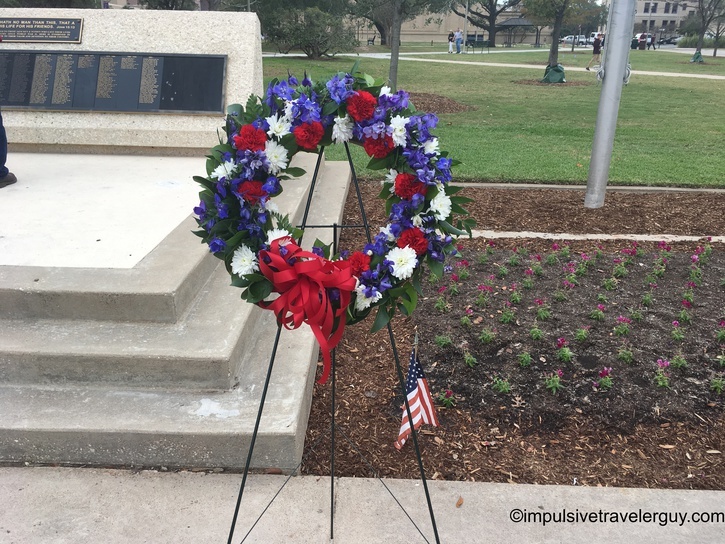 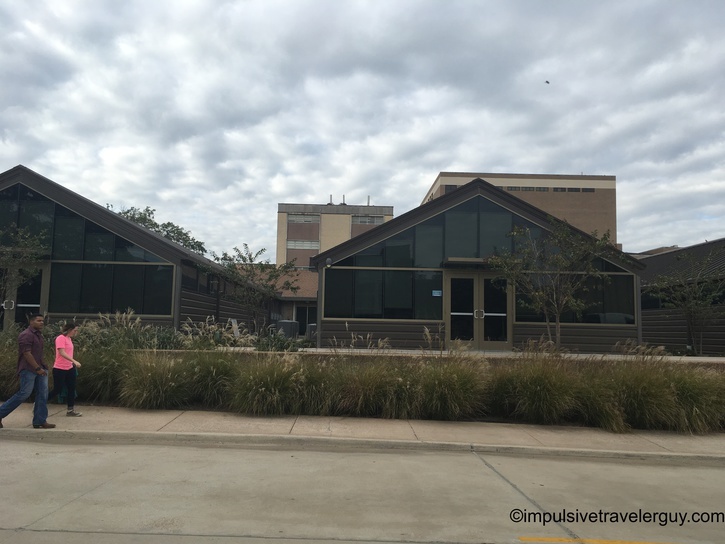 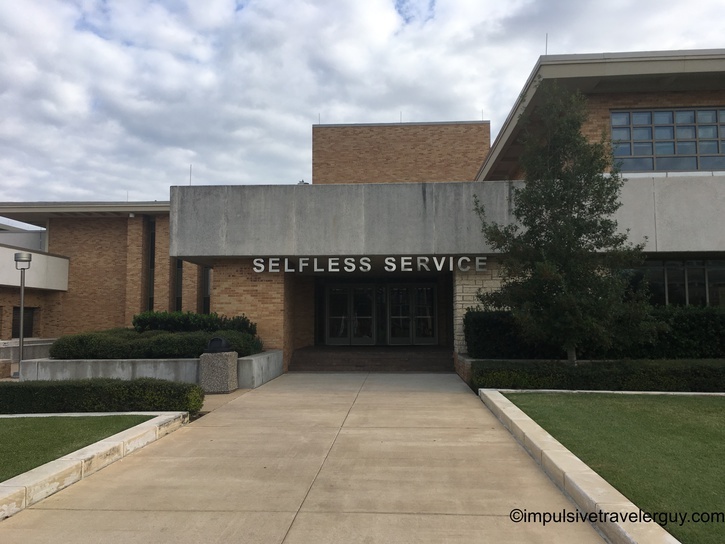 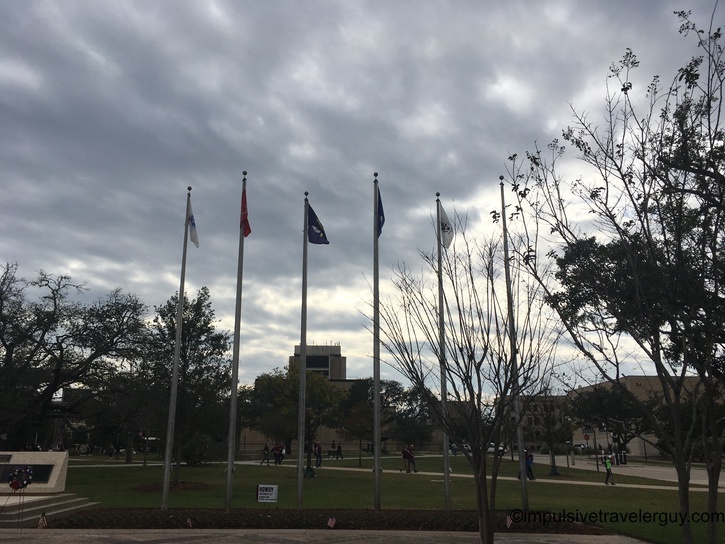 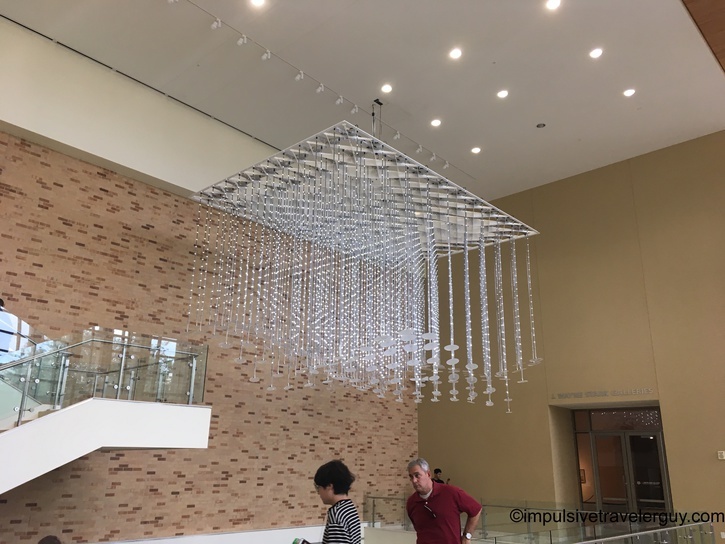 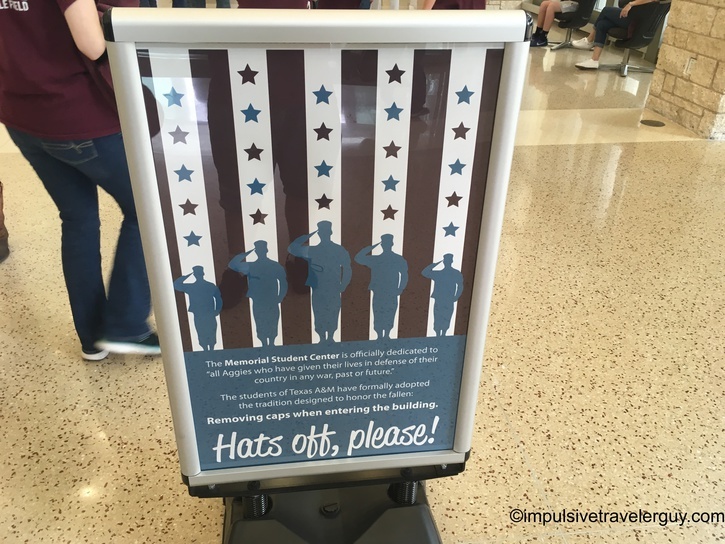 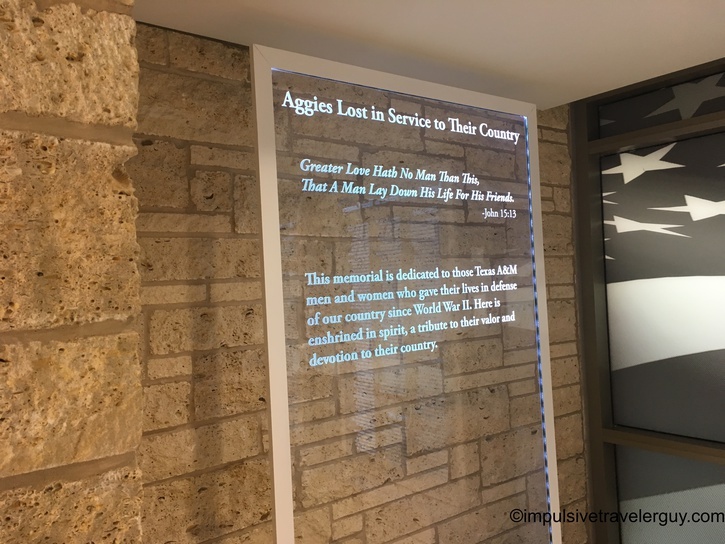 The Memorial Student Center is just that, a living dedicated memorial to all students who have given their lives for the United States in defense of it. 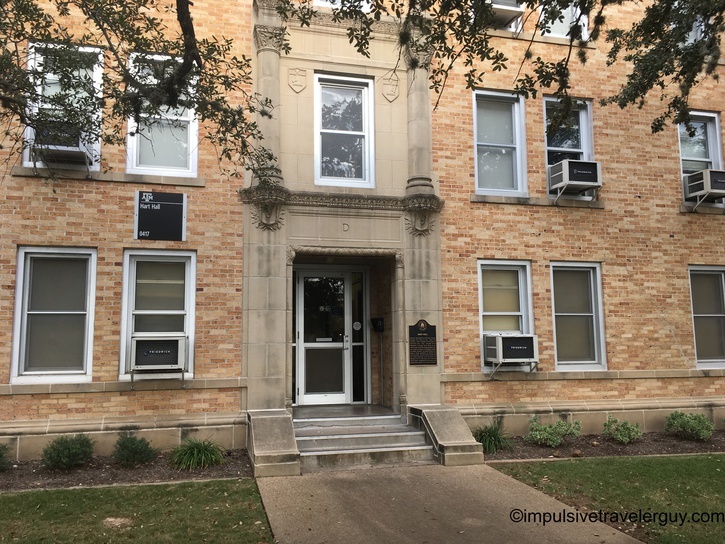 In this building is the Choral Activities office. 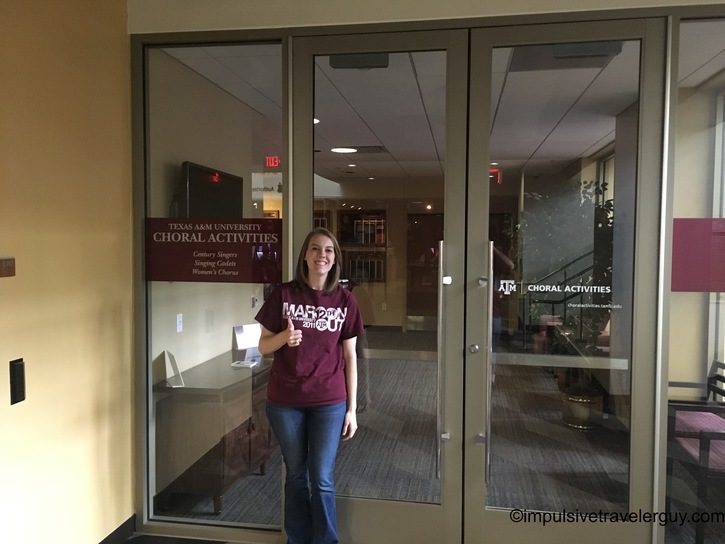 Victoria was in Women’s Chorus, so she spent a lot of time here. 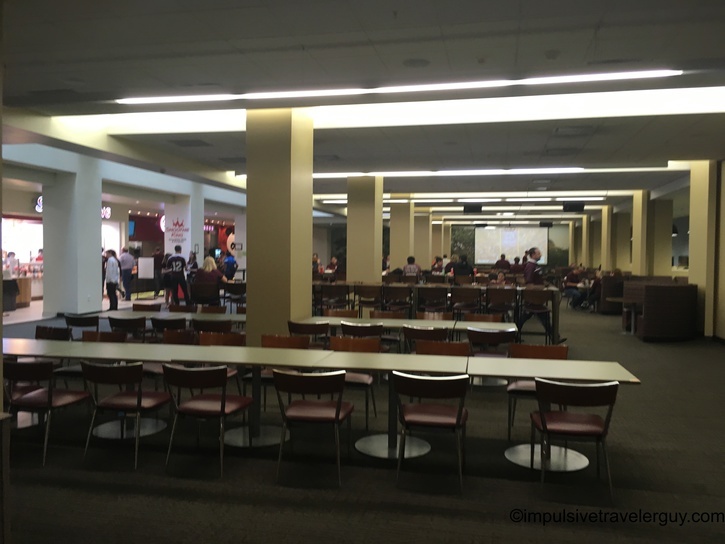 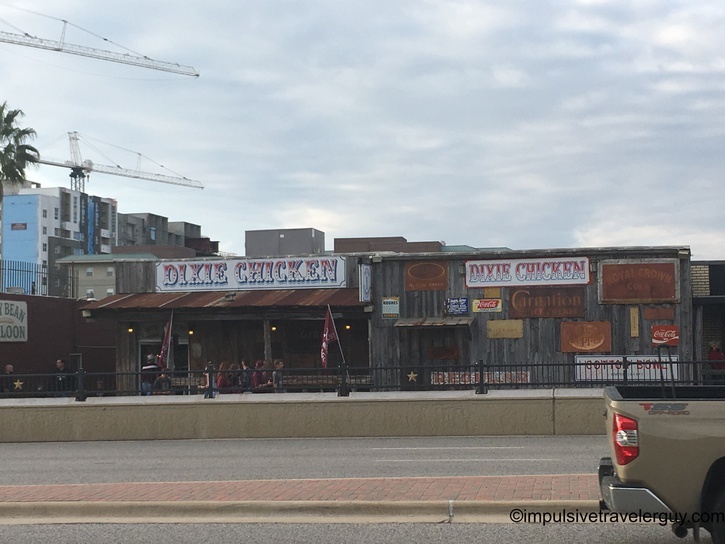 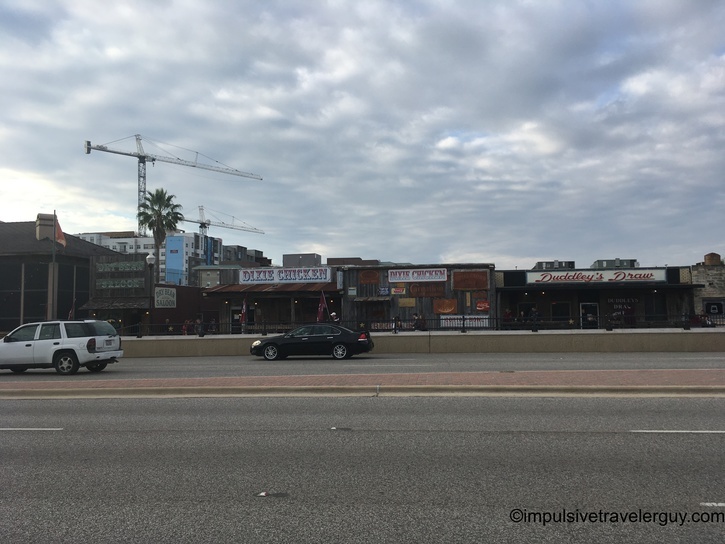 Besides that, there’s an area to hang out and get some food. 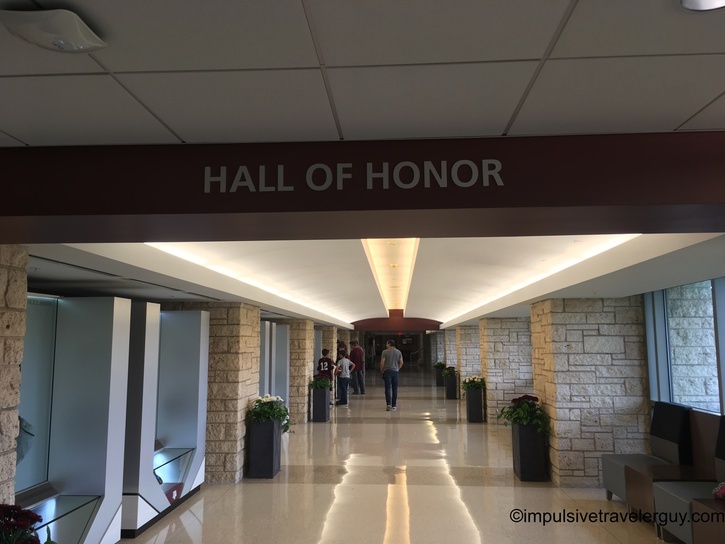 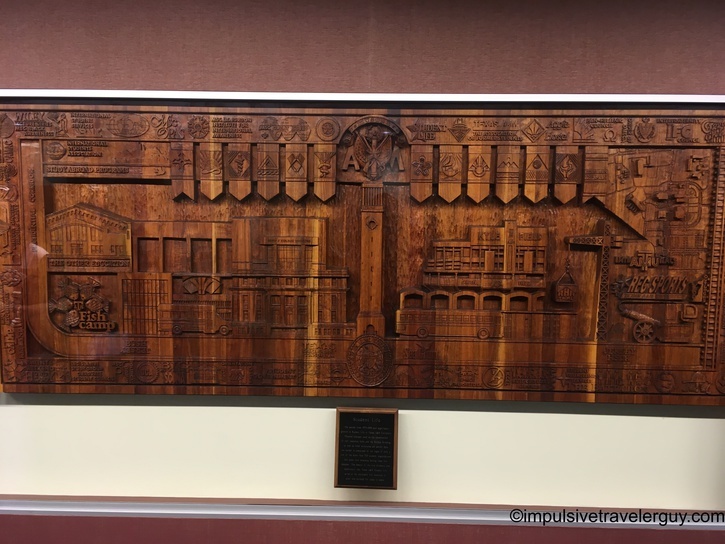 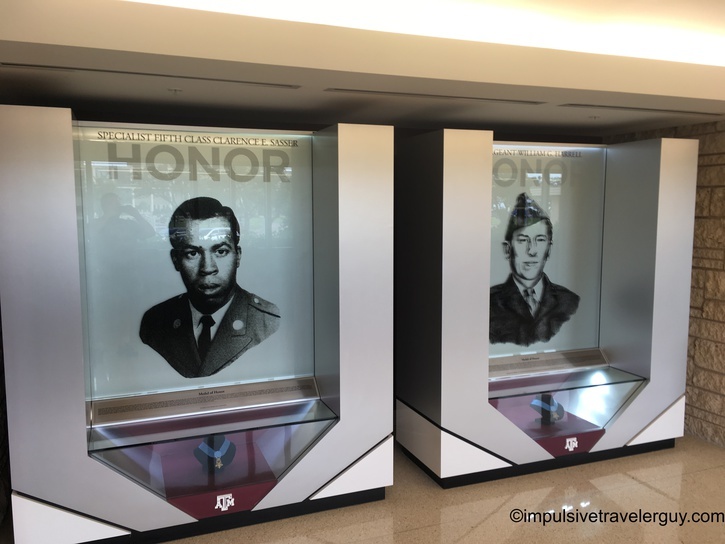 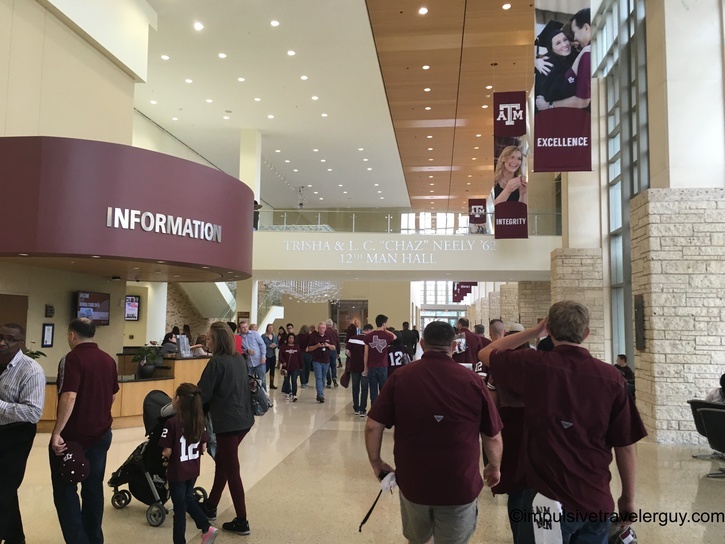 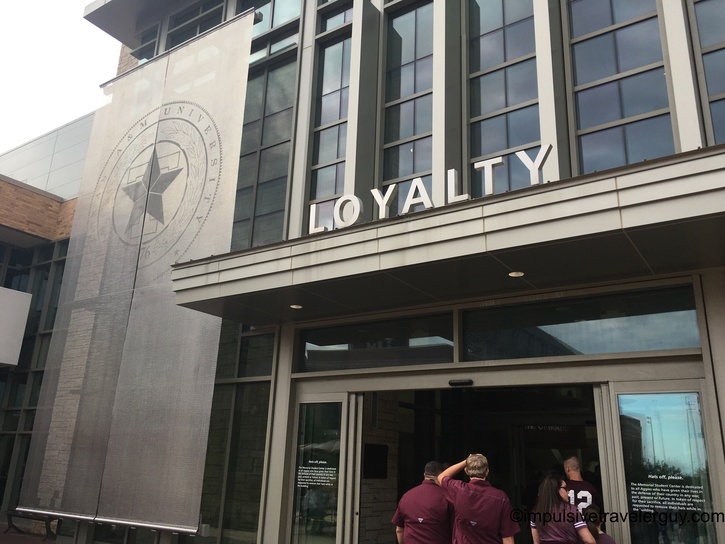 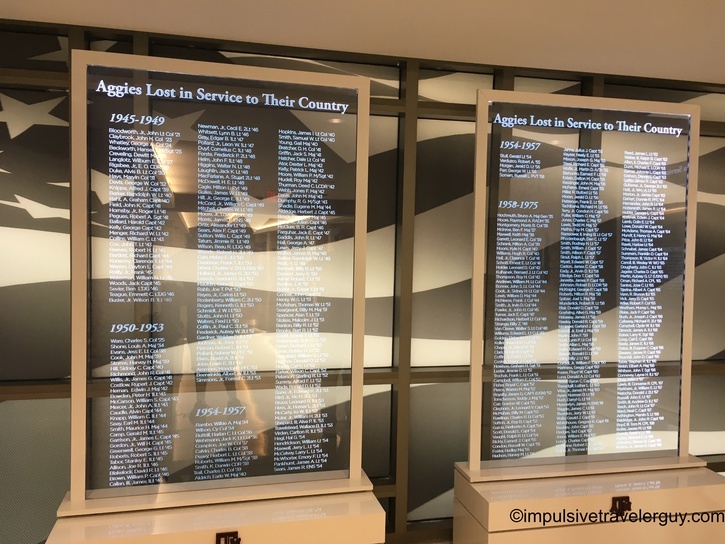 On the first floor, there is the Hall of Honor as a dedication to Aggie Medal of Honor recipients. 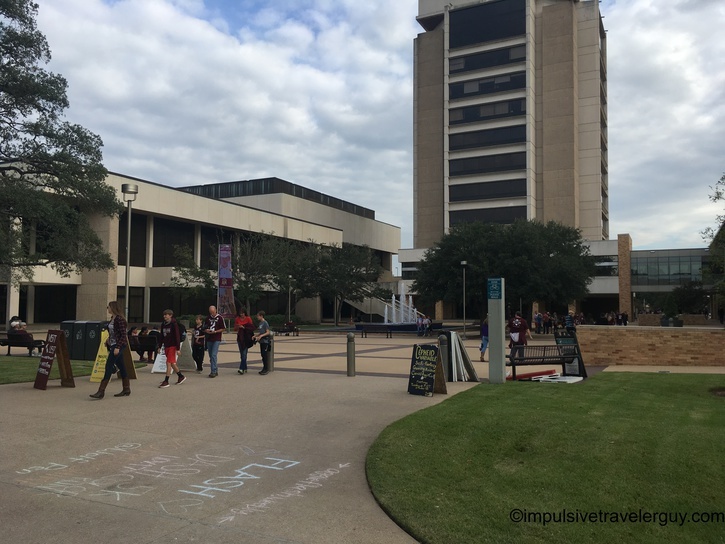 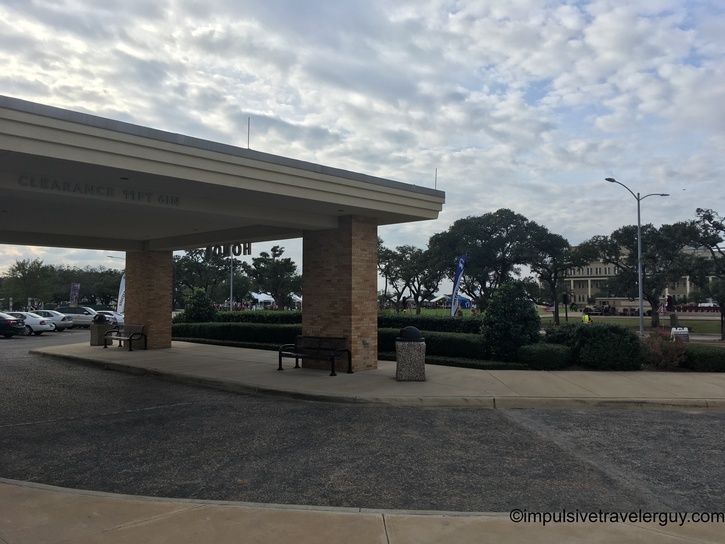 Once we got outside the Memorial Student Center, we did a little more walking. 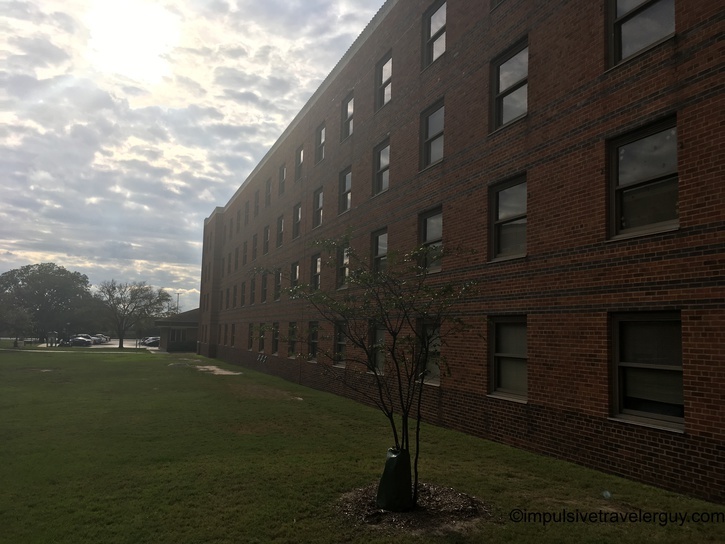 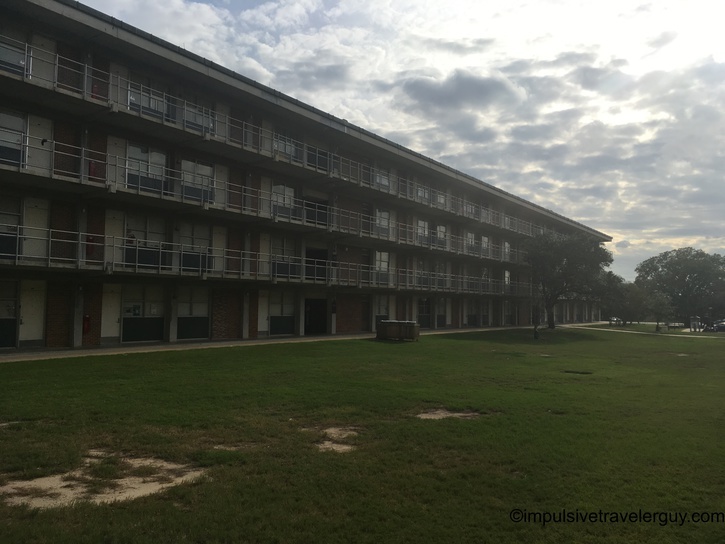 We found one of the oldest residence halls there. 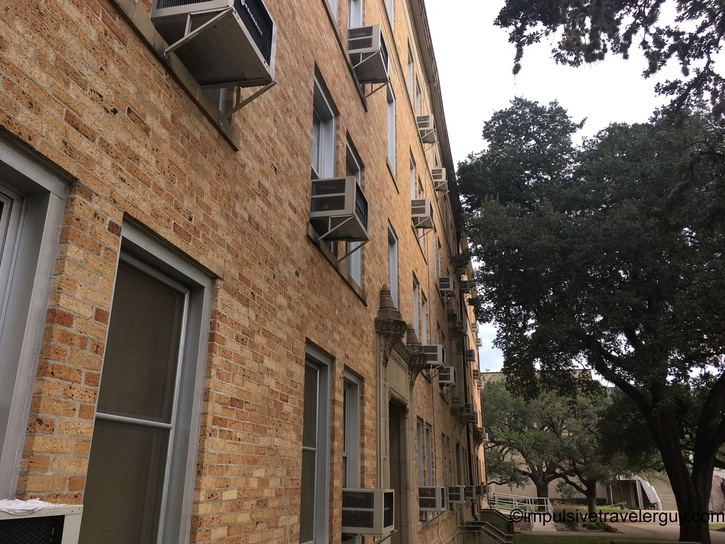 You could tell it was around before the days of central air conditioning. 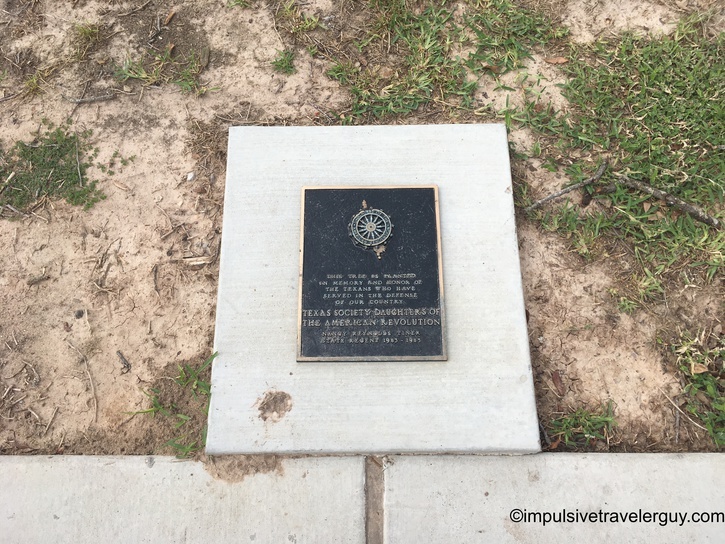 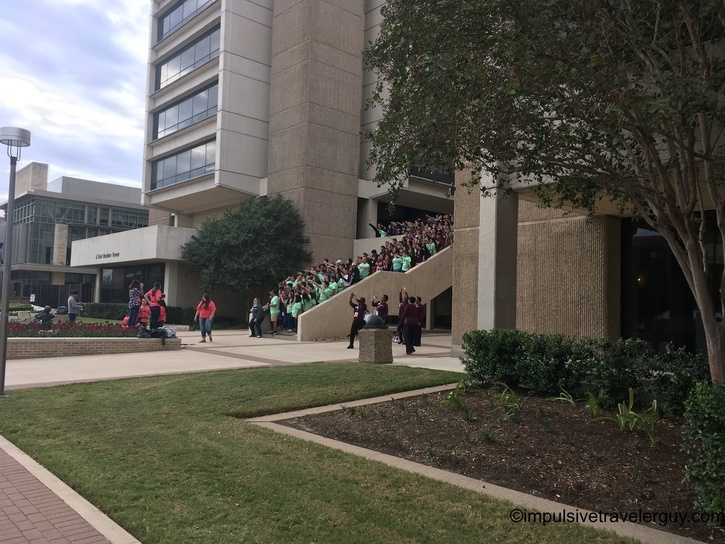 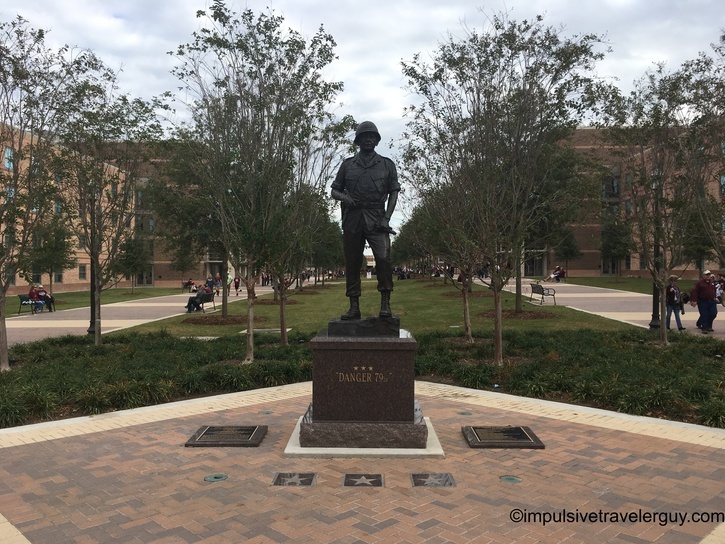 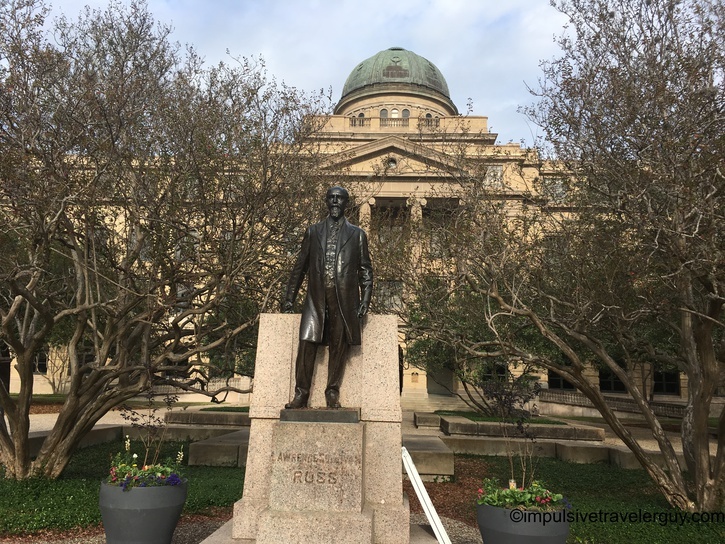 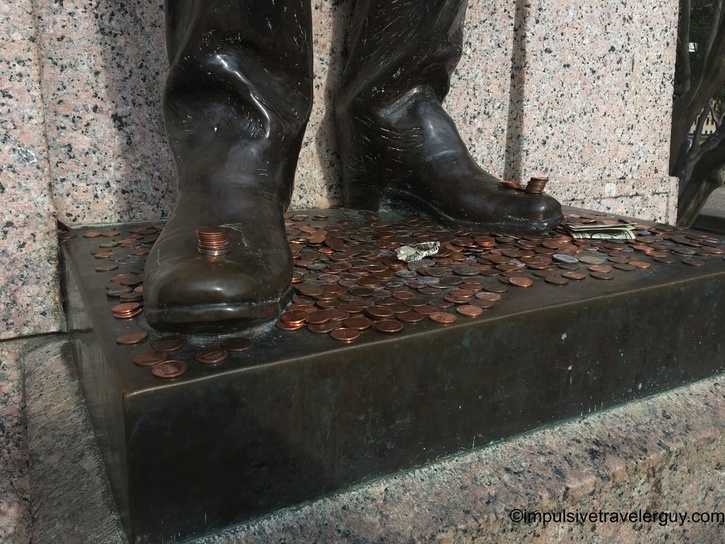 More walking brought us to the Sul Ross statue or “Sully.” One of the Aggie traditions is to put pennies by Sully’s feet before an exam for good luck. 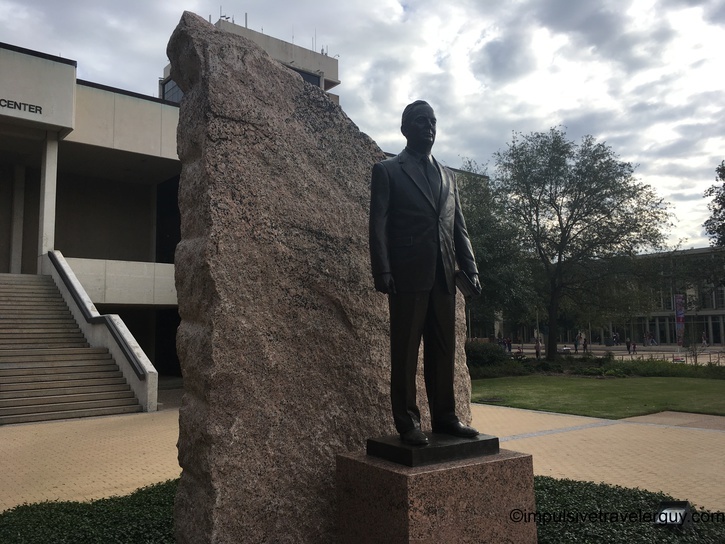 Sul Ross would tutor many students but when students asked how they could repay him, he replied, “A penny for your thoughts.” This is how this tradition was born. 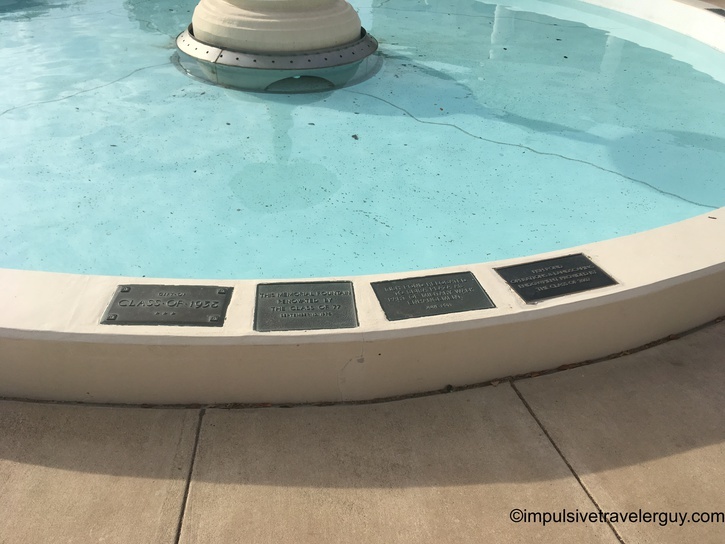 More walking eventually brought us to The Fish Pond Fountain. 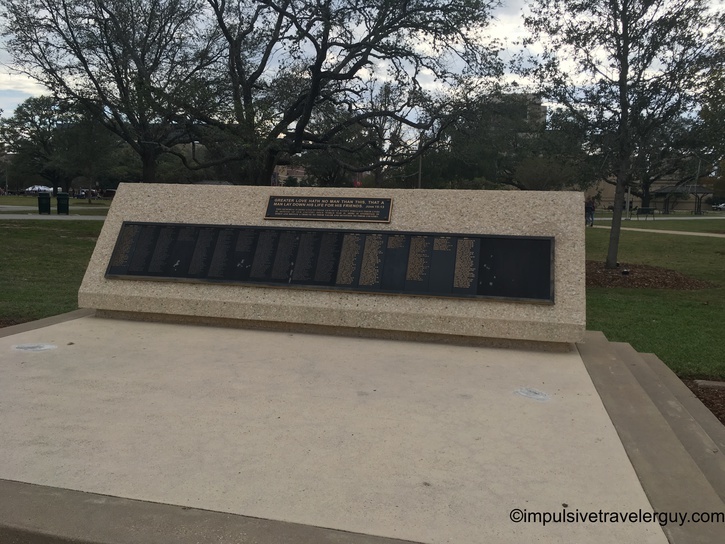 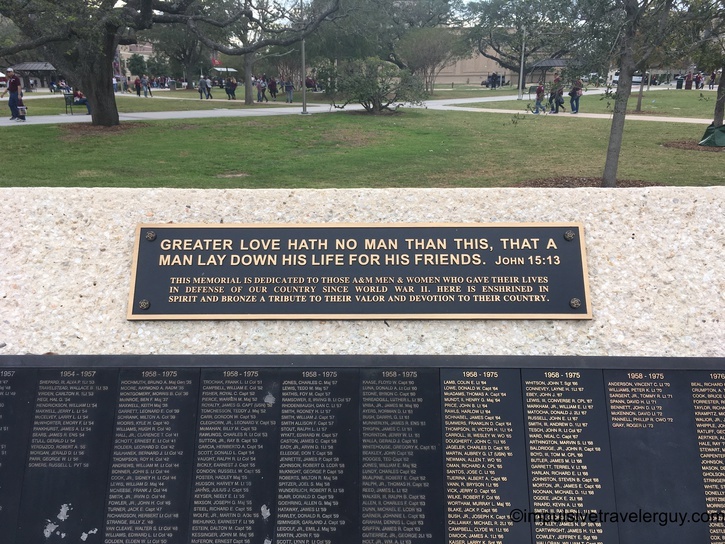 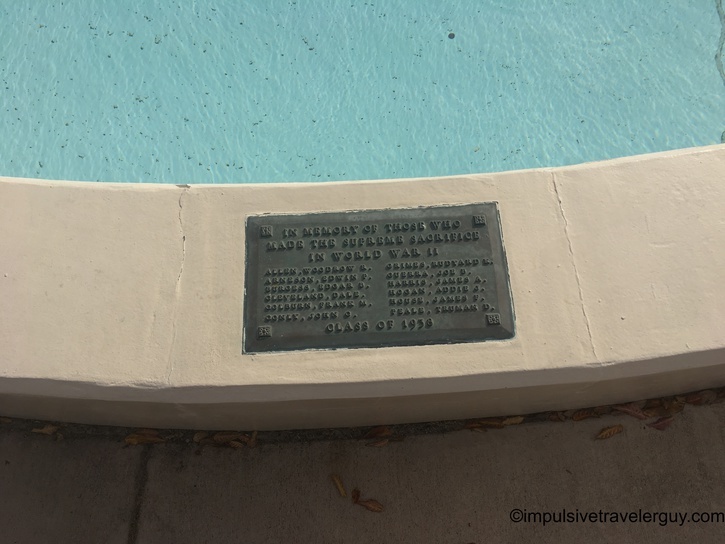 This fountain was dedicated to the Aggies lost in World War II. 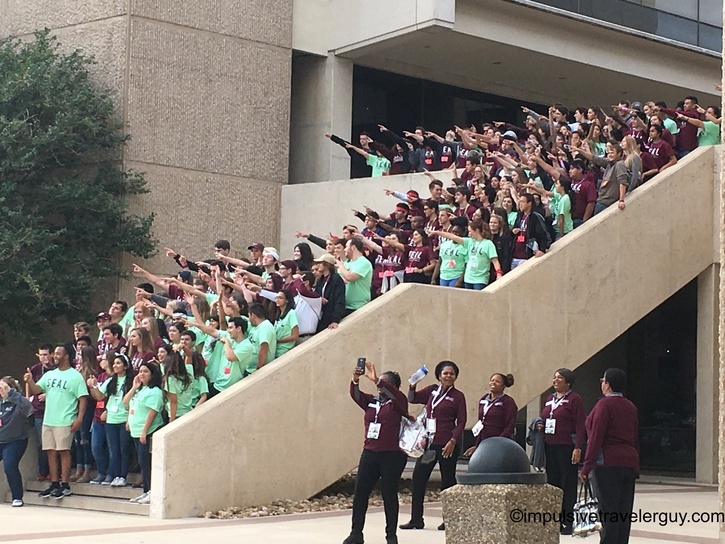 Another Aggie tradition is that the freshmen of the Corps of Cadets will carry the Yell Leaders after a win and throw them in the Fish Pond. 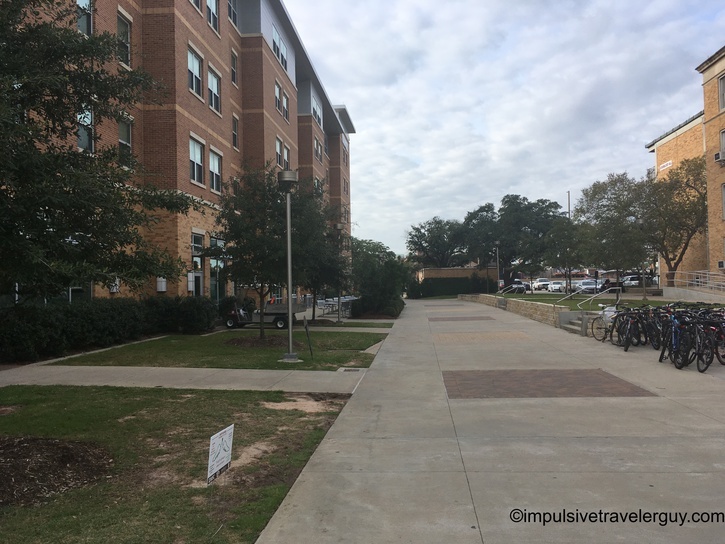 After walking past the Fish Pond, we walked by the resident halls where Victoria lived and then over to Northgate. 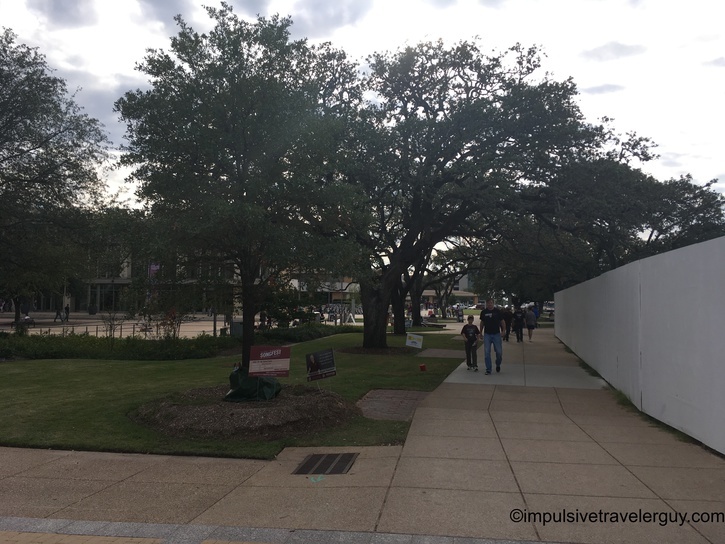 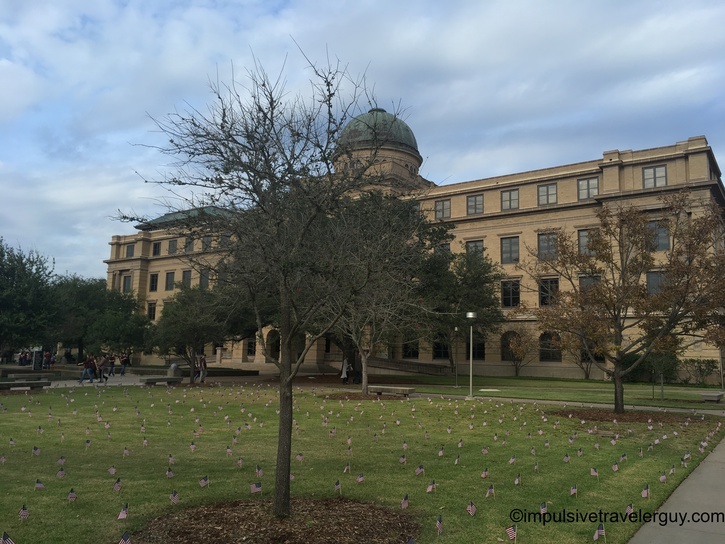 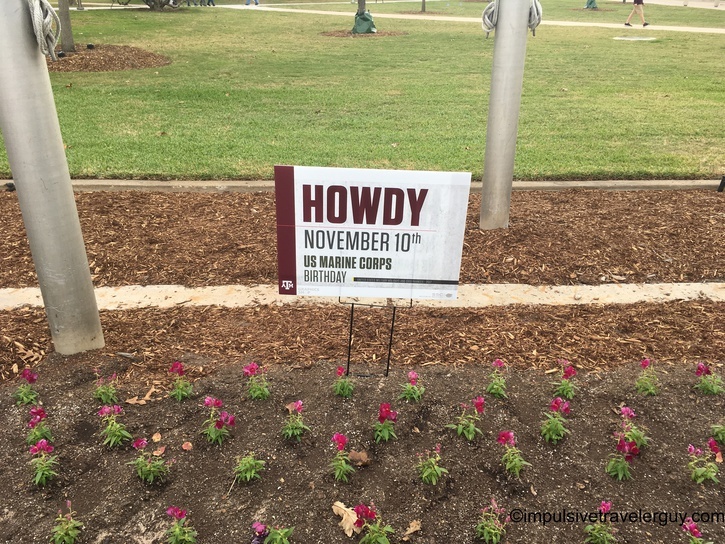 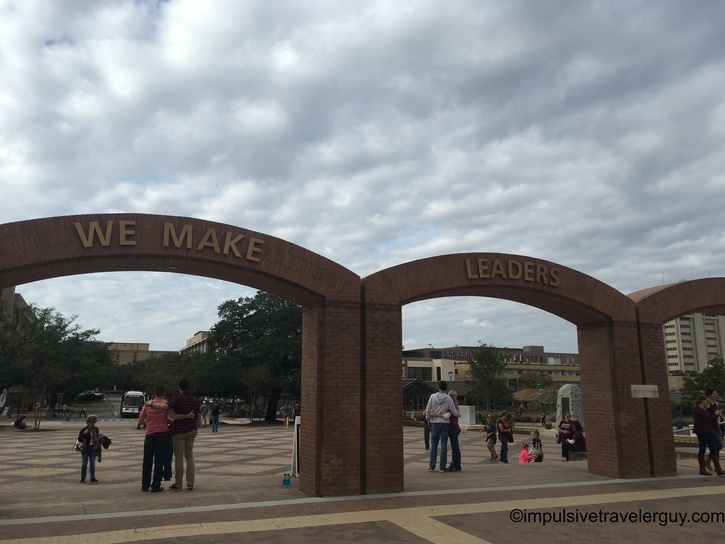 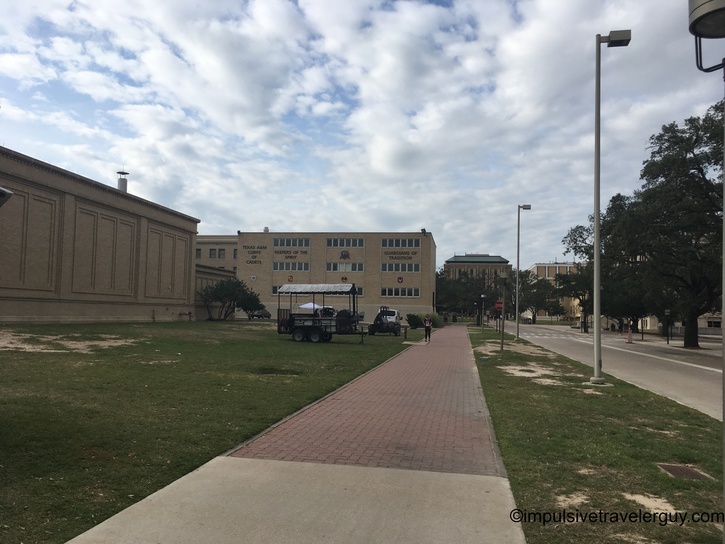 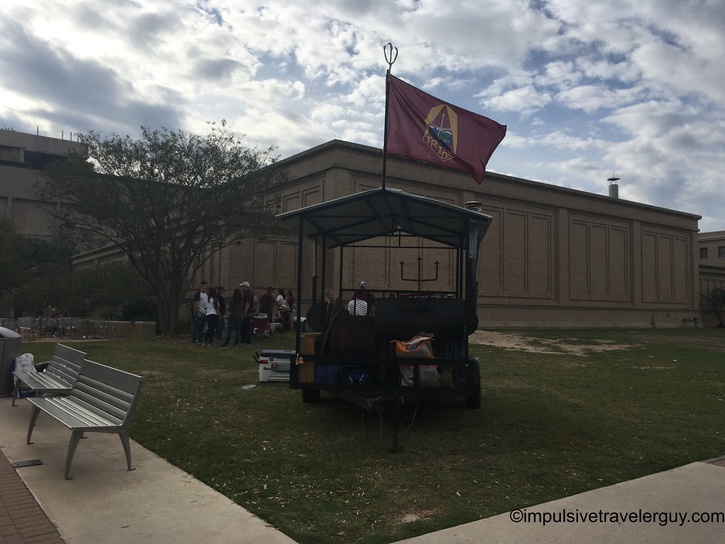 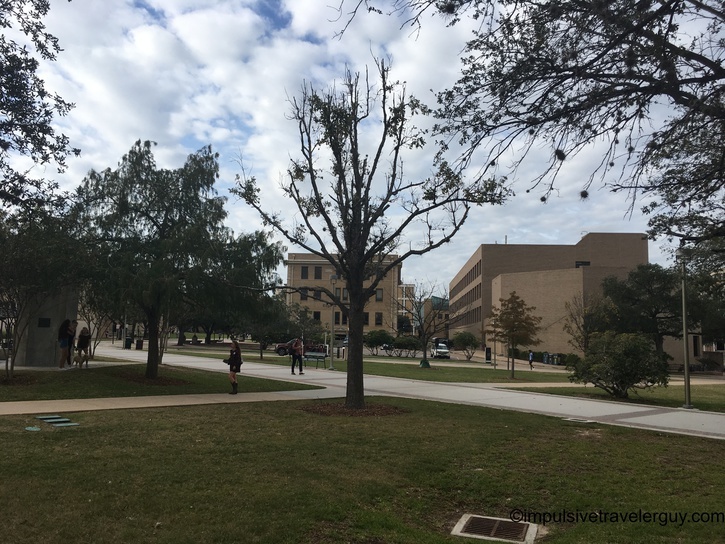 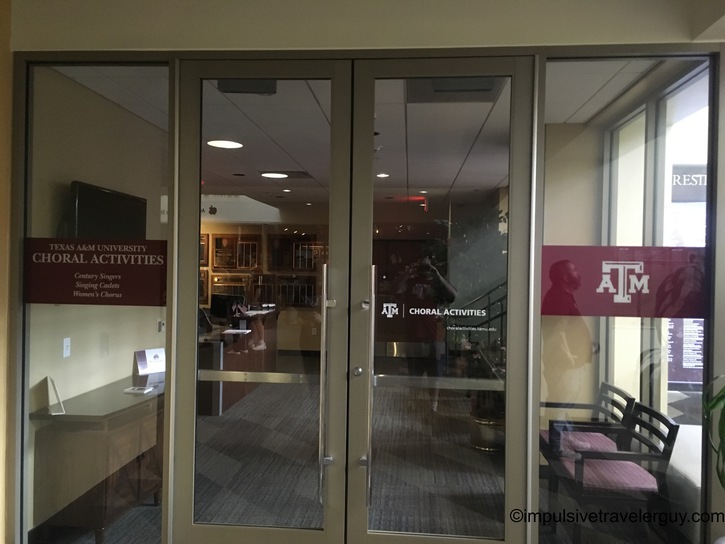 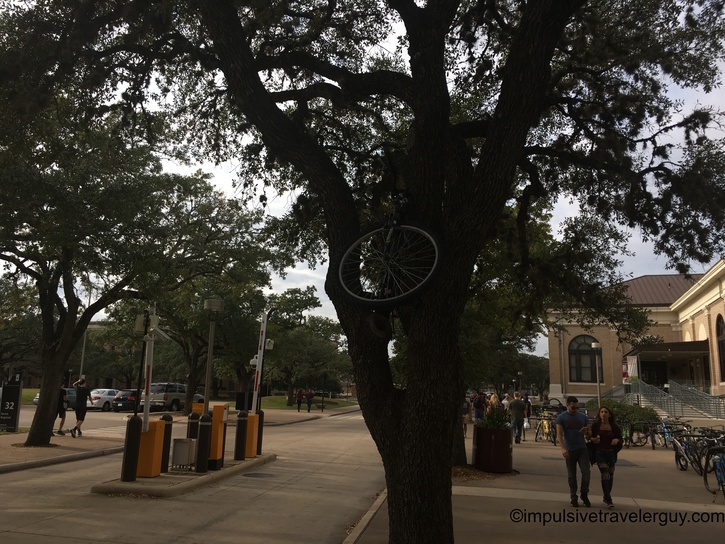 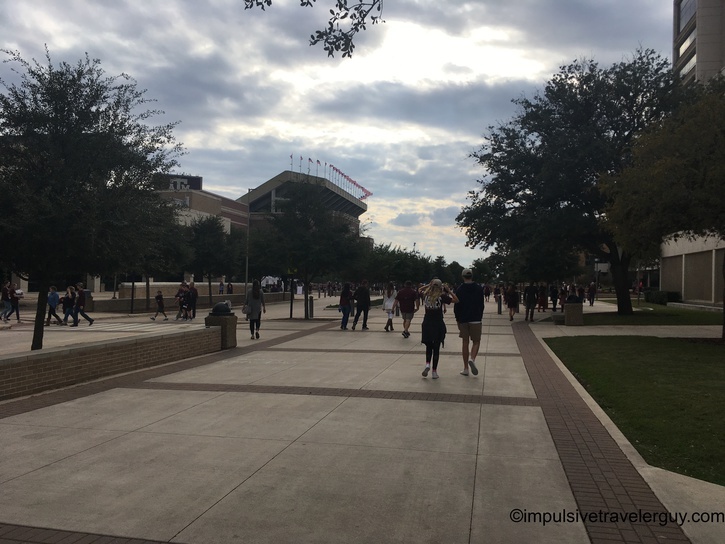 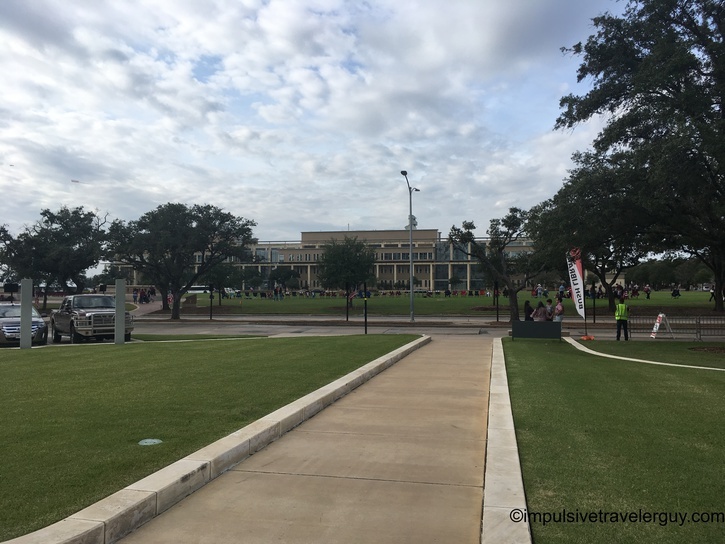 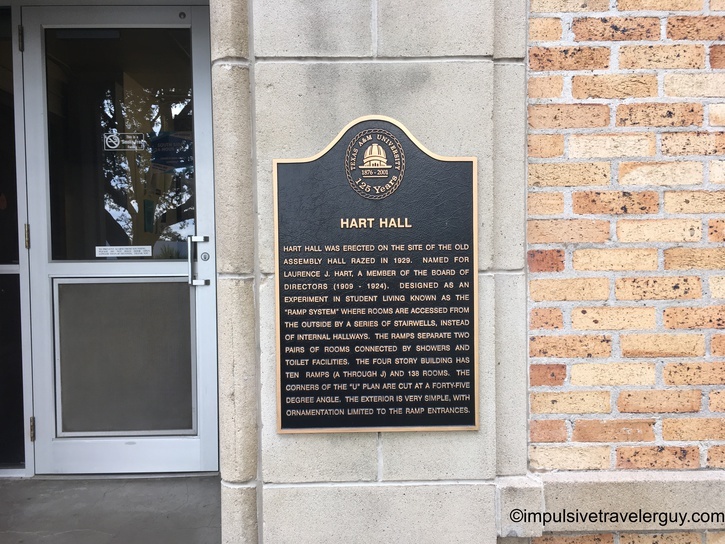 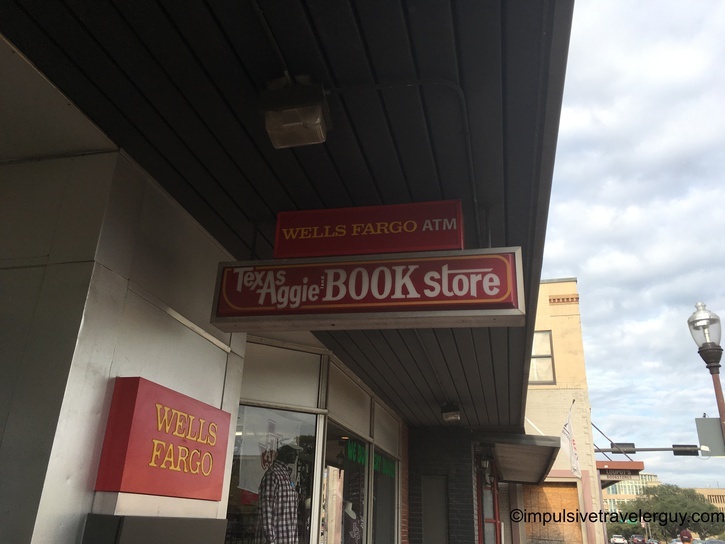 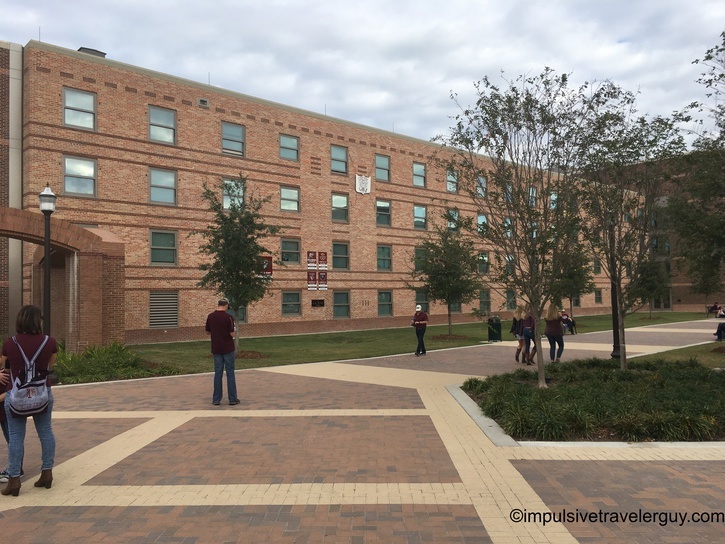 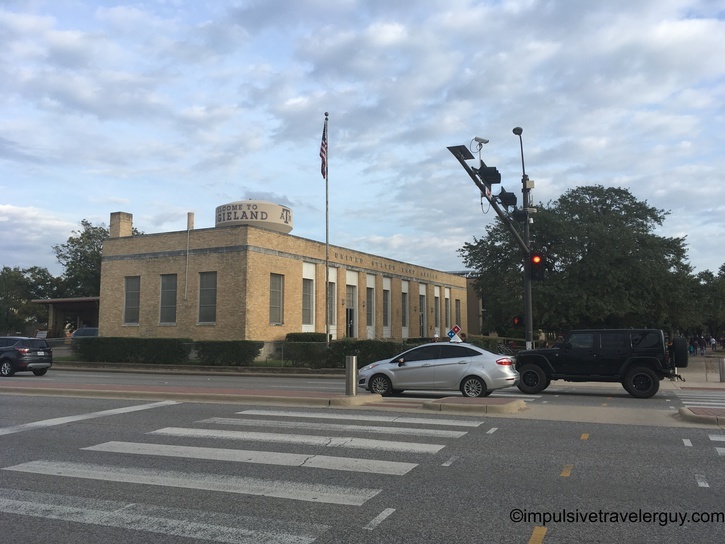 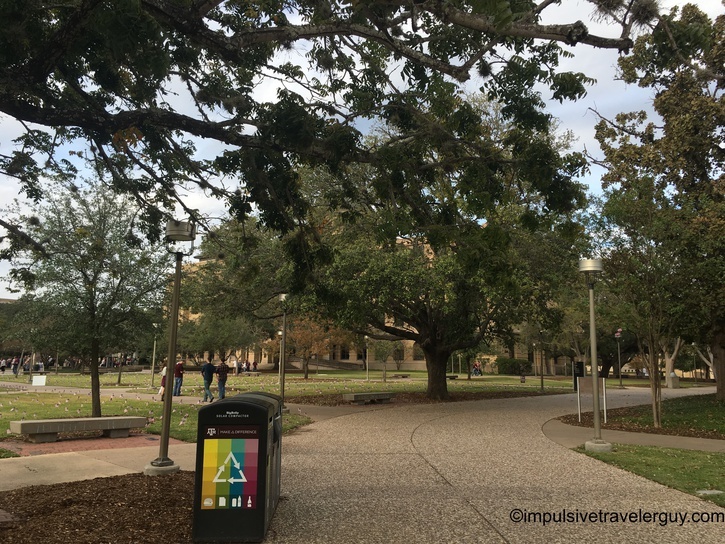 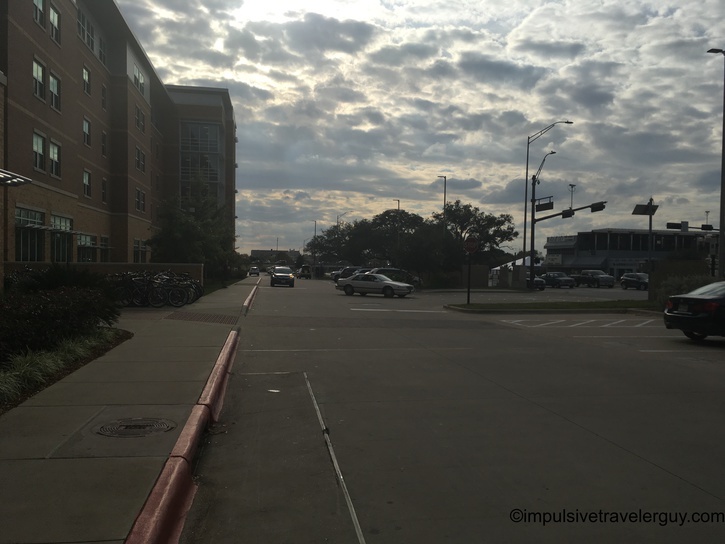 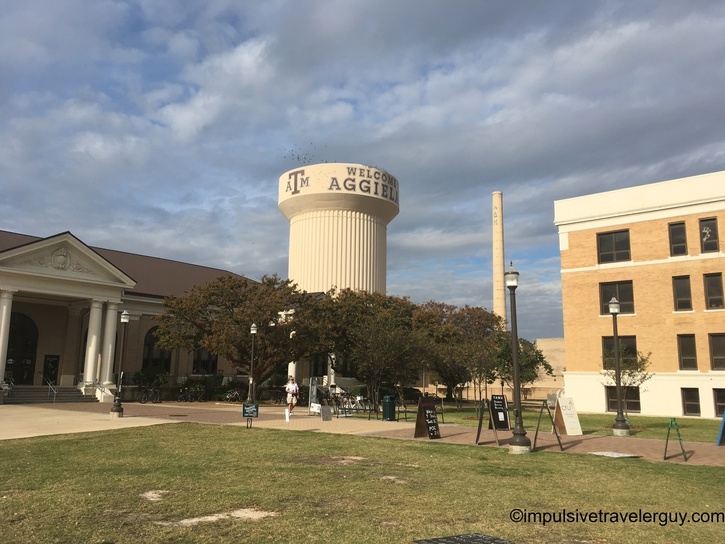 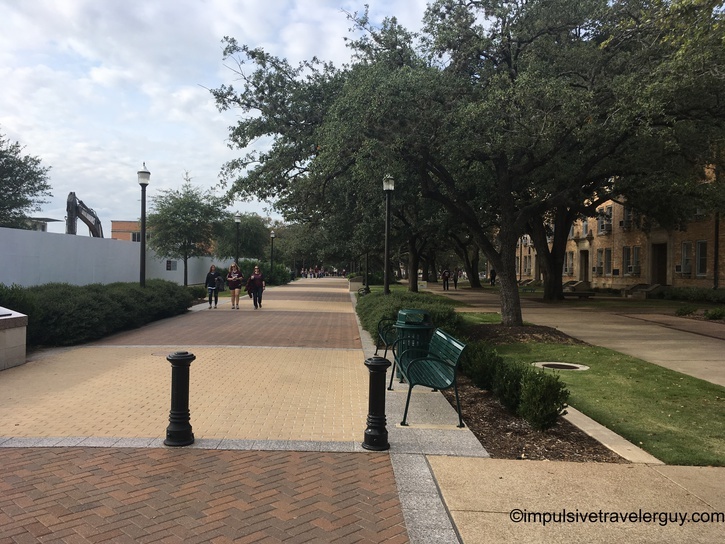 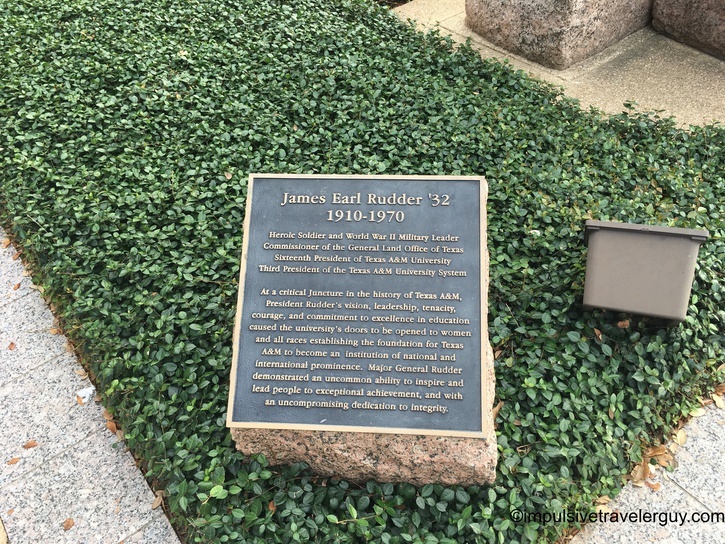 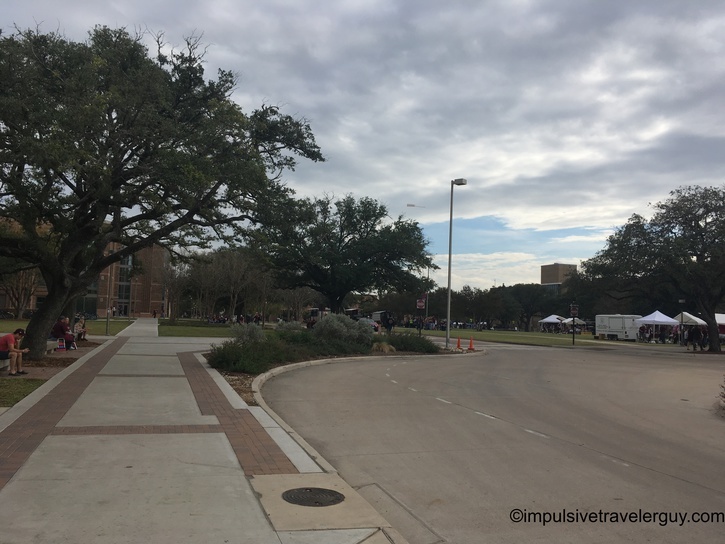 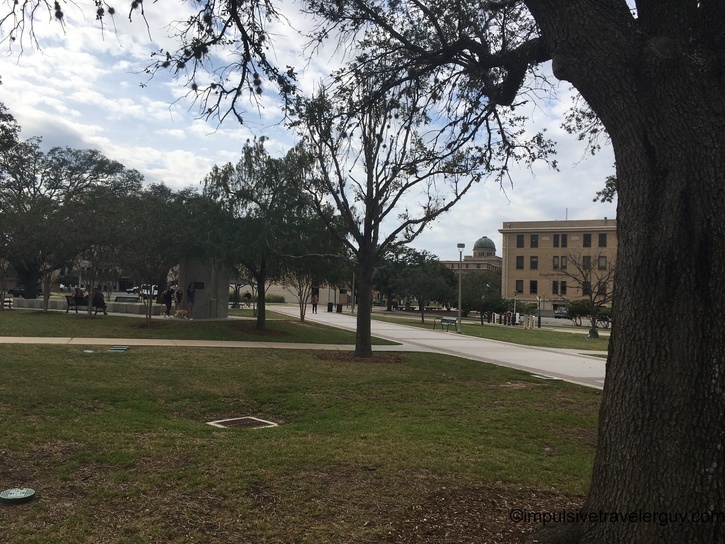 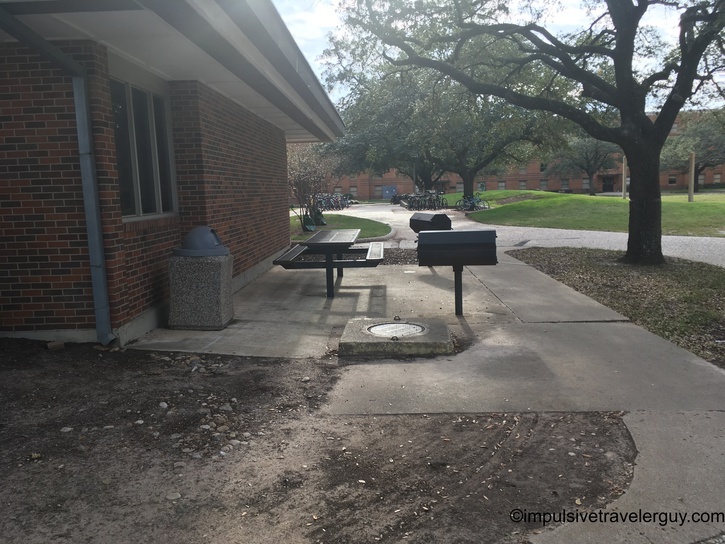 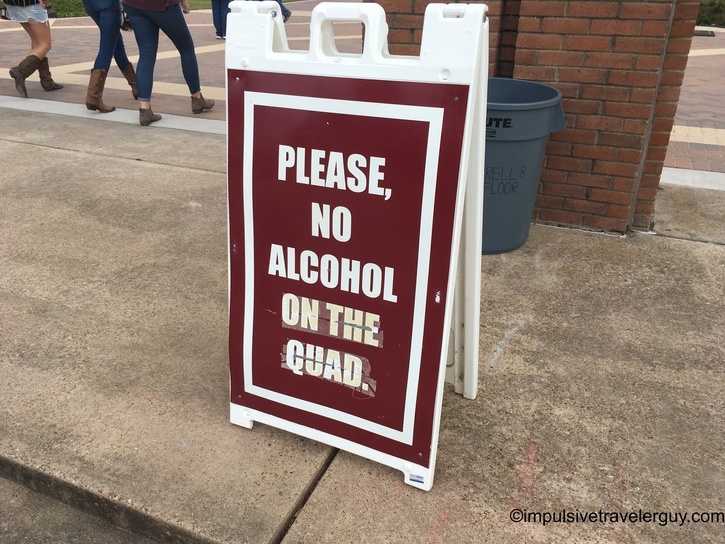 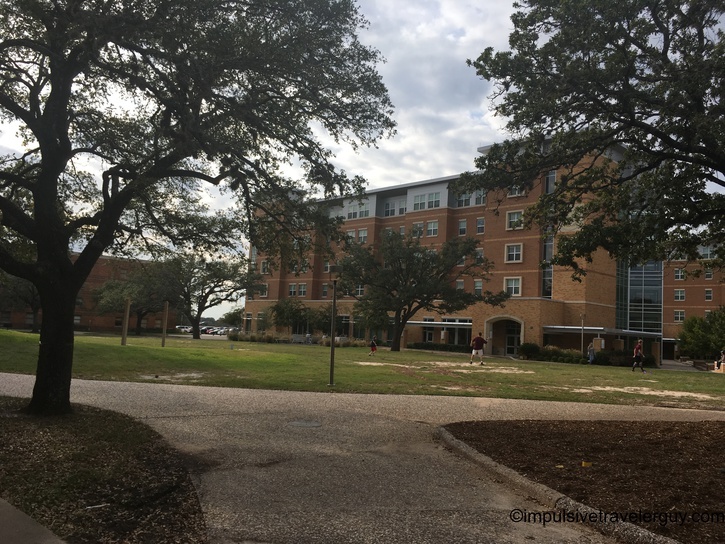 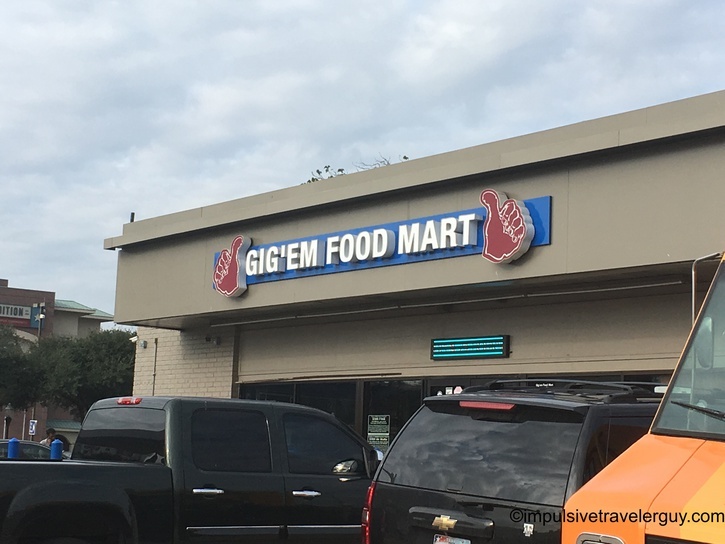 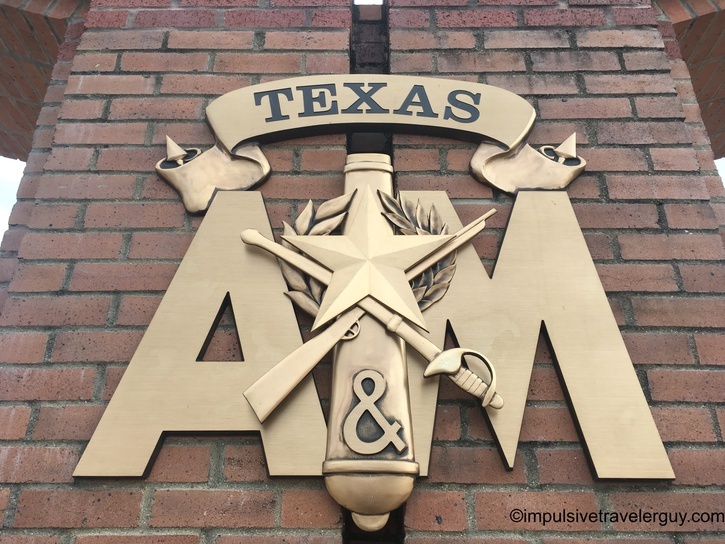 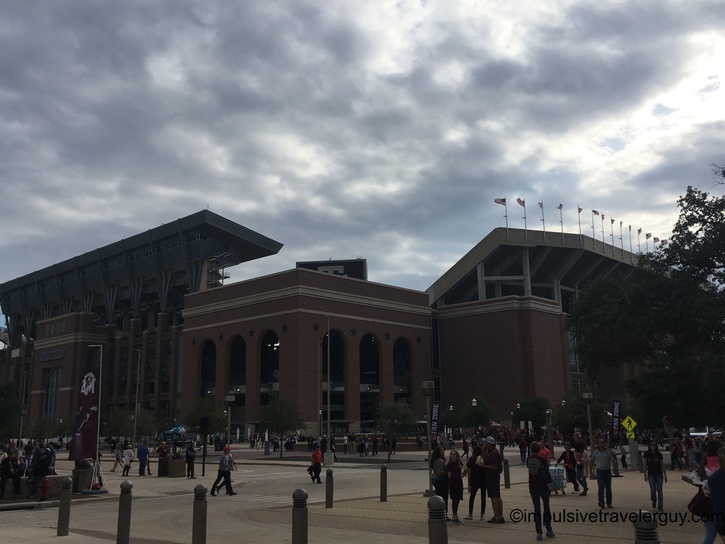 Walking around campus gave me some insight into Texas A&M. 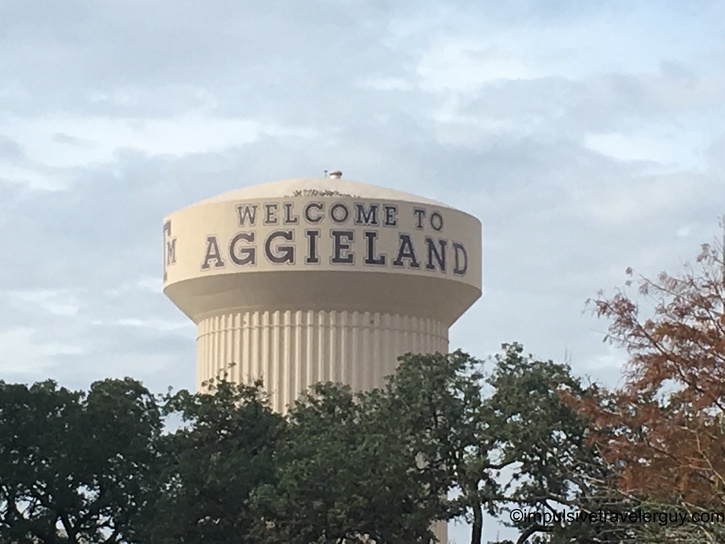 I know I had a take a bunch of mental notes and luckily Google was my friend in making sure I got the Aggie Traditions correct and my memory wasn’t too fuzzy. 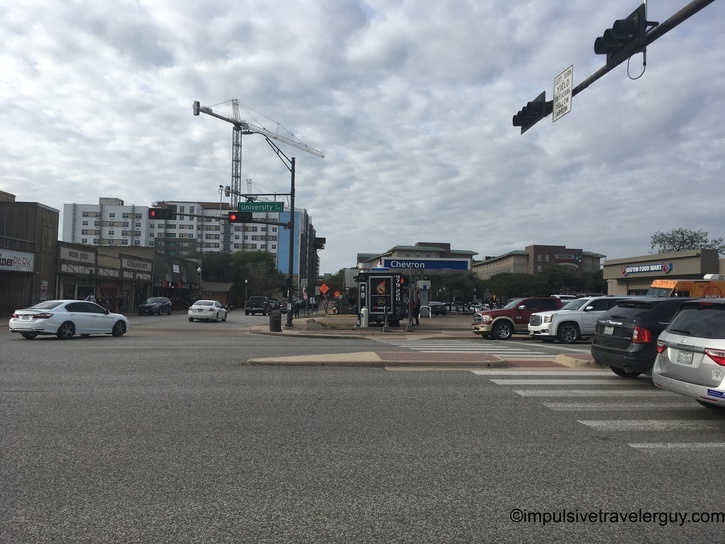 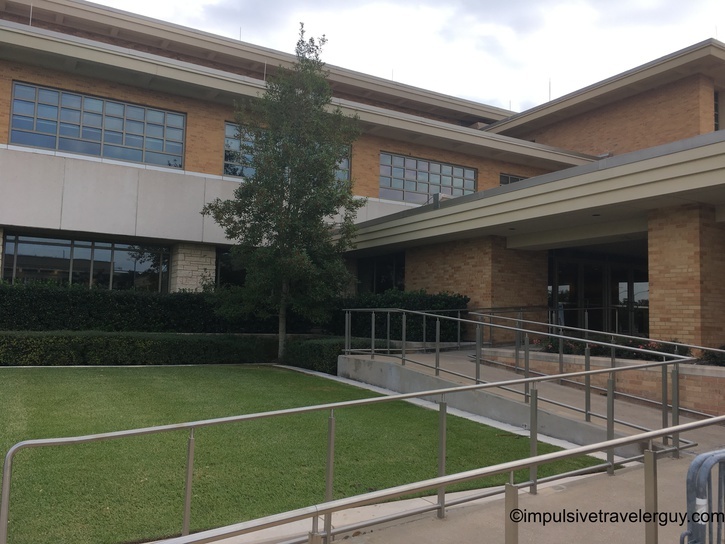 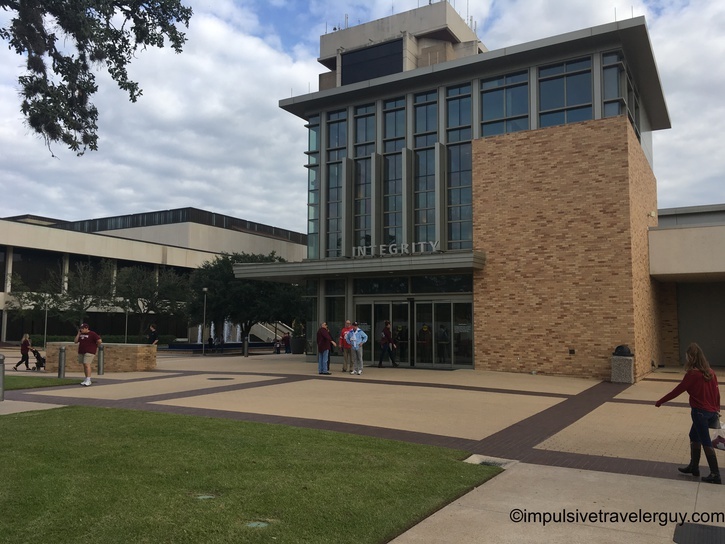 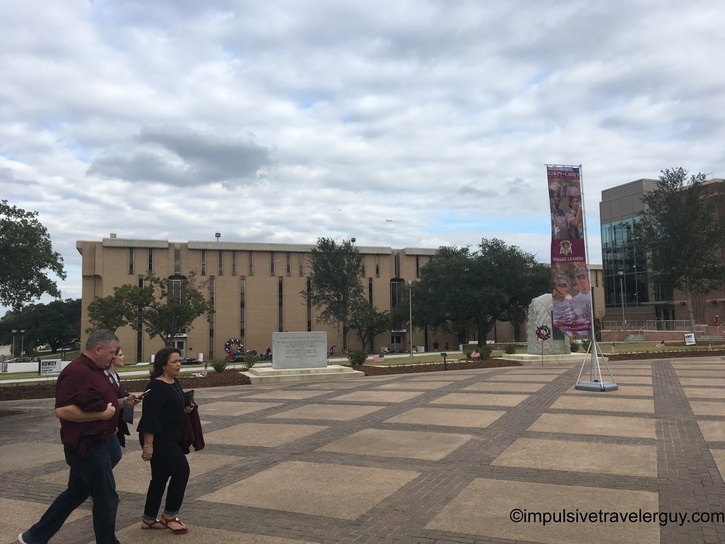 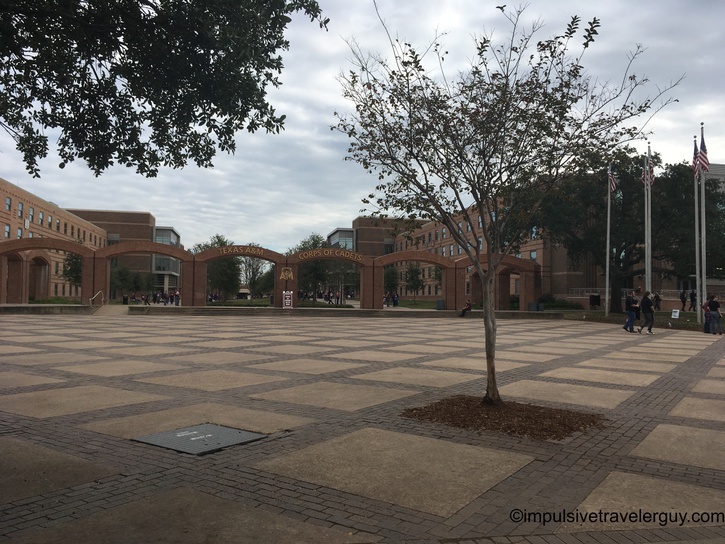 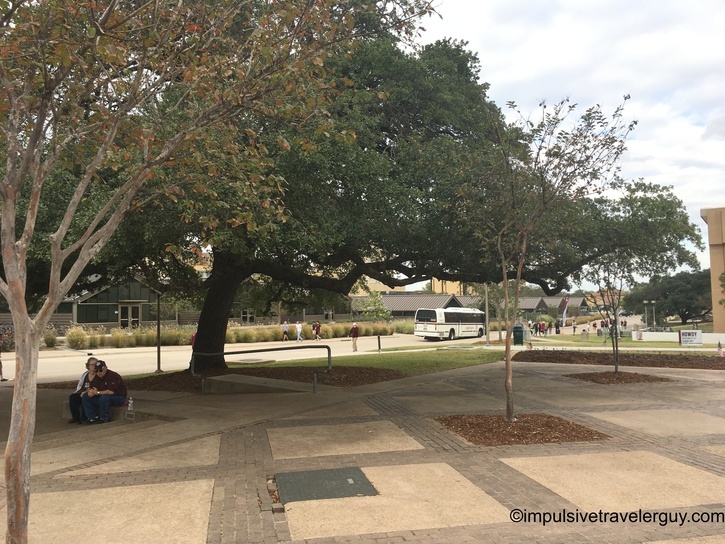 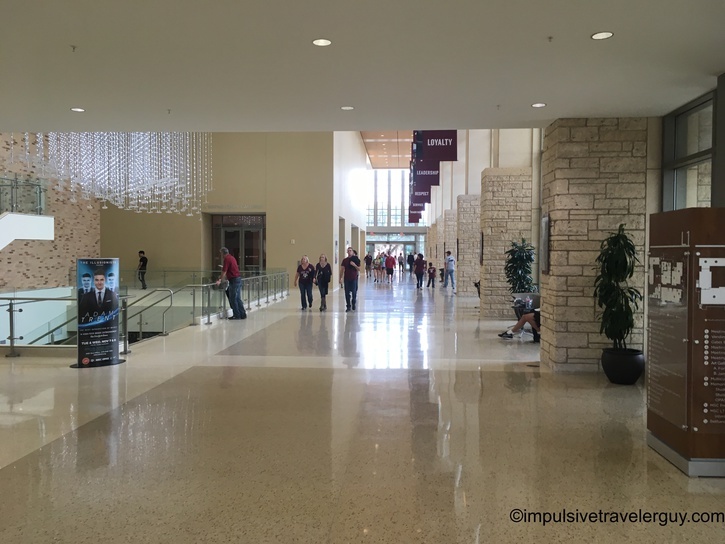 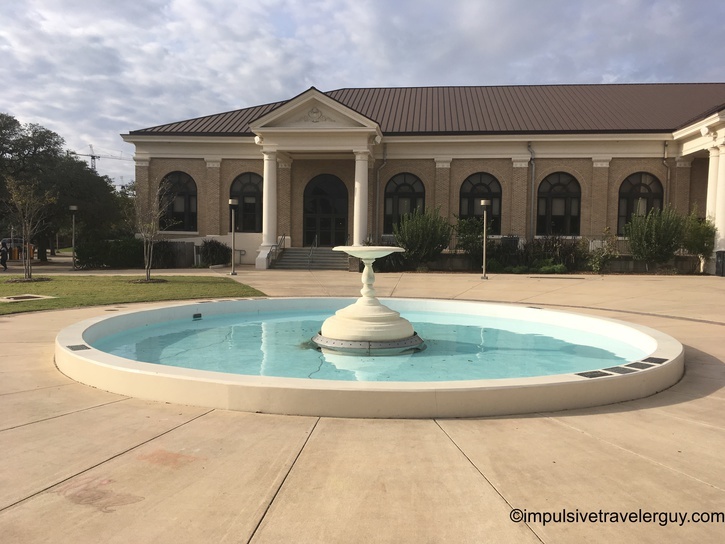 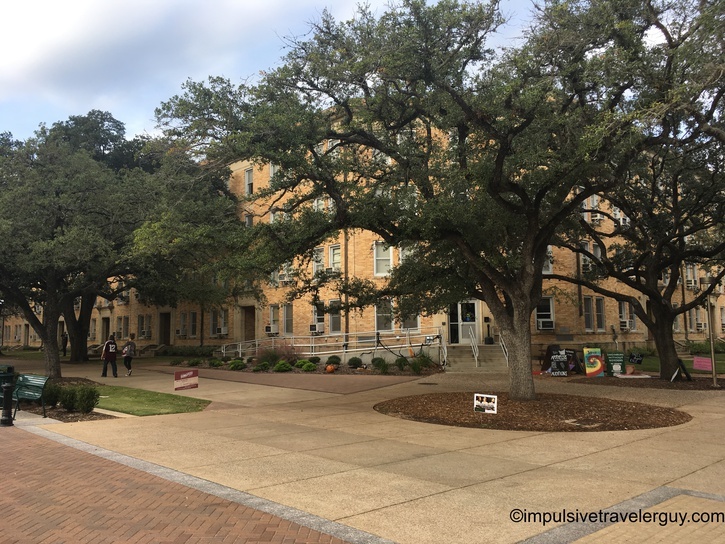 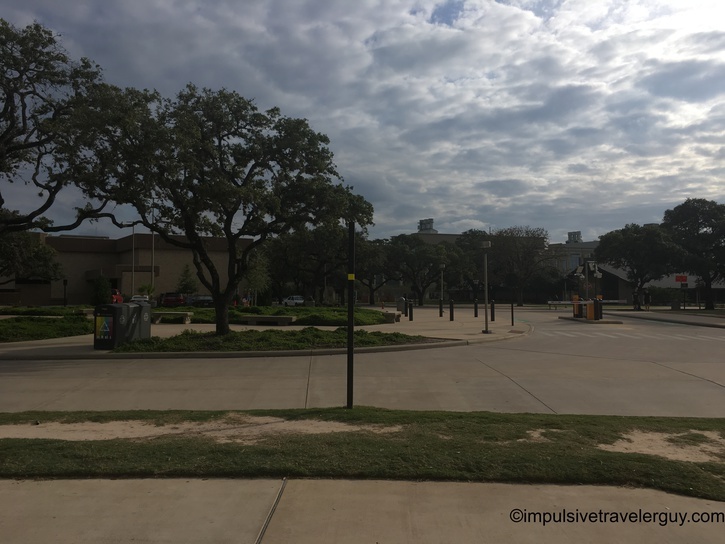 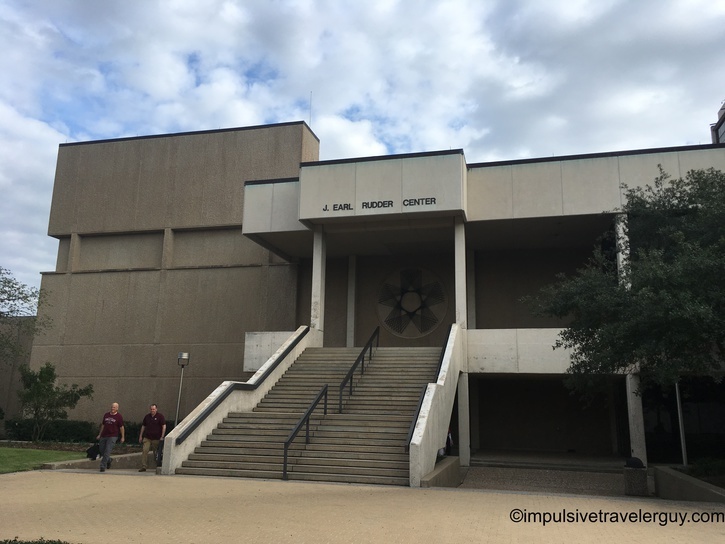 I definitely see I have only scratched the surface in terms of what there is to see here, so I’m sure I’ll have to do some more walking around the campus with Victoria on a future visit to College Station.